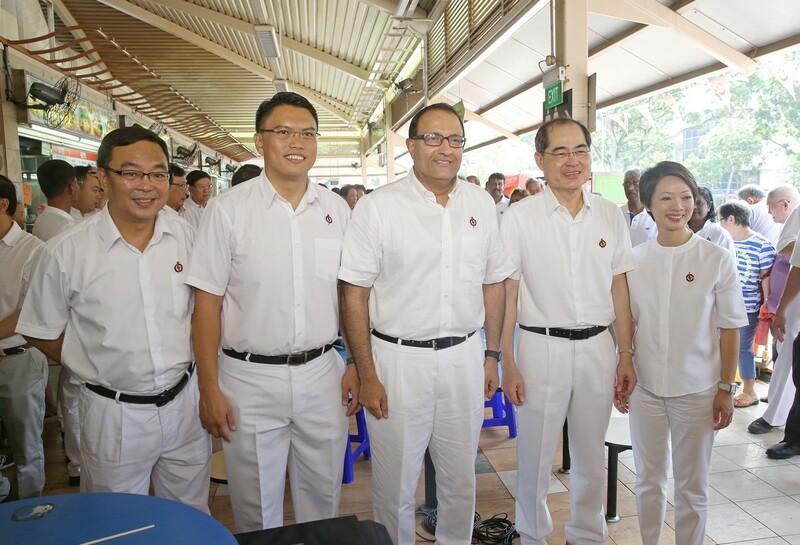 PAP newcomers Joan Pereira (left) and Melvin Yong both have ties with Tanjong Pagar - Ms Pereira spent over 10 years at Queenstown Community Centre when she worked at PA, and Mr Yong walked part of the GRC as Clementi Police Division commander. 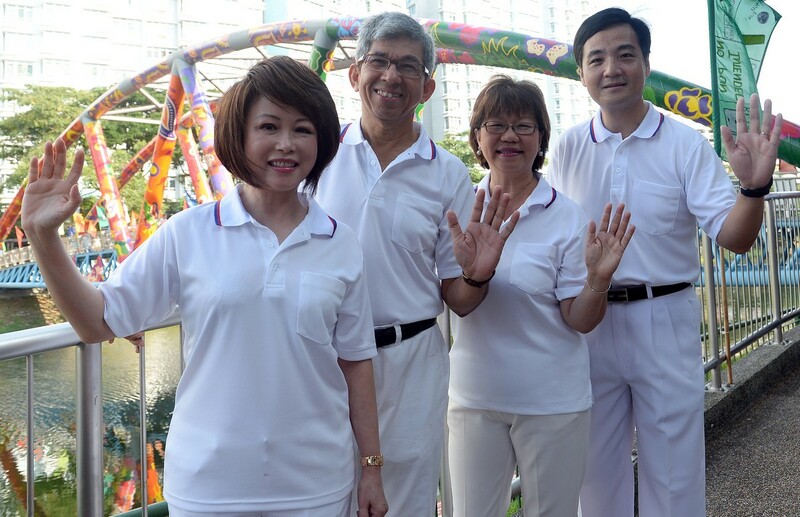 Long-time public servants Joan Pereira and Melvin Yong are entering politics to continue where they left off in community work. 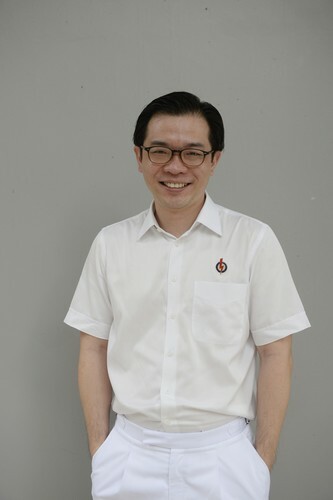 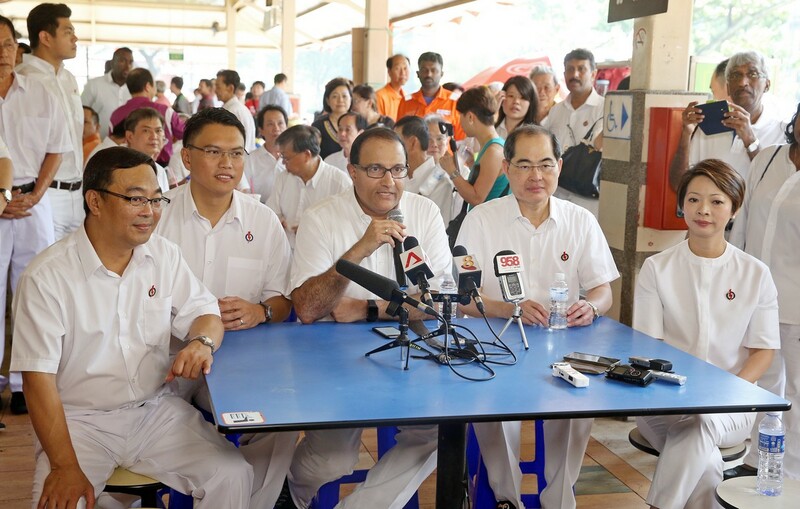 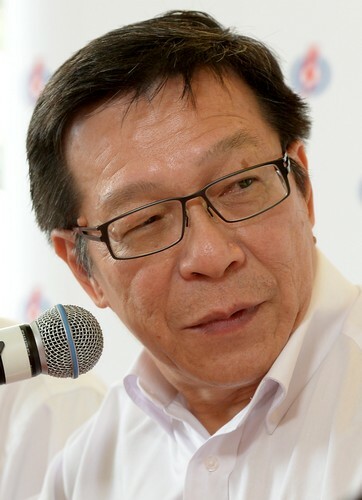 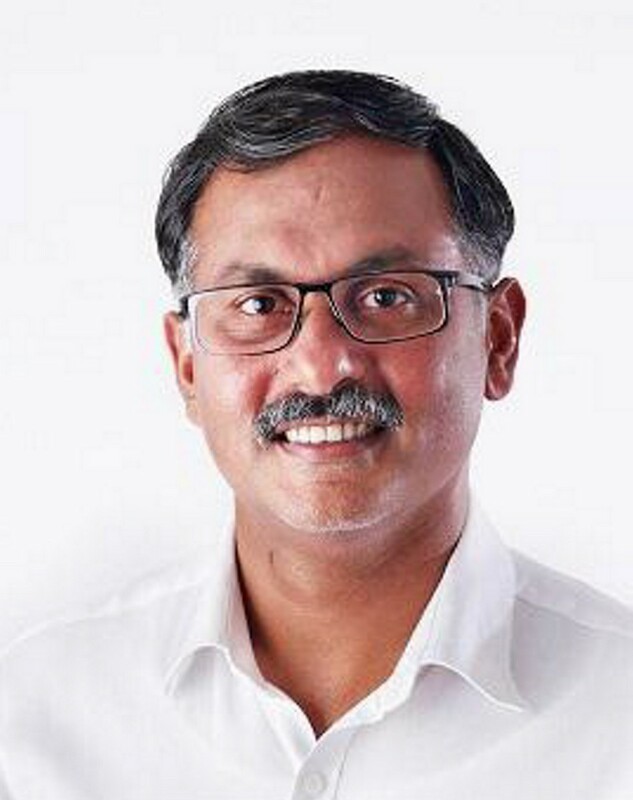 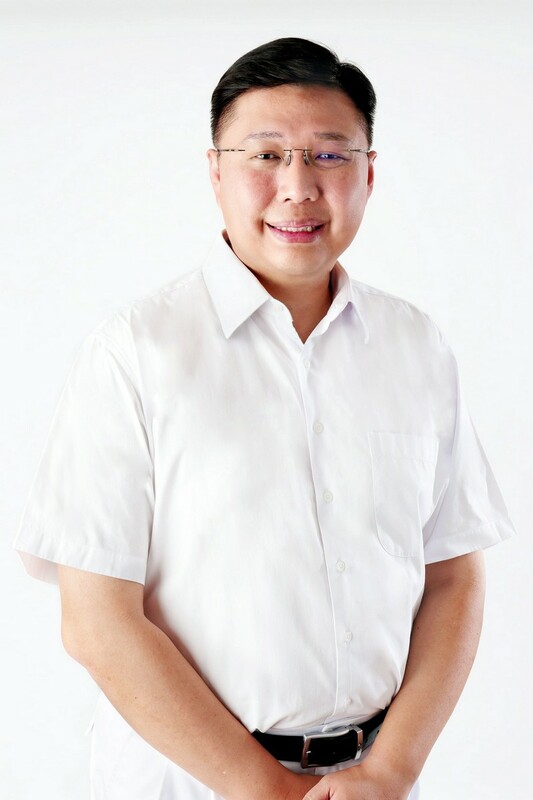 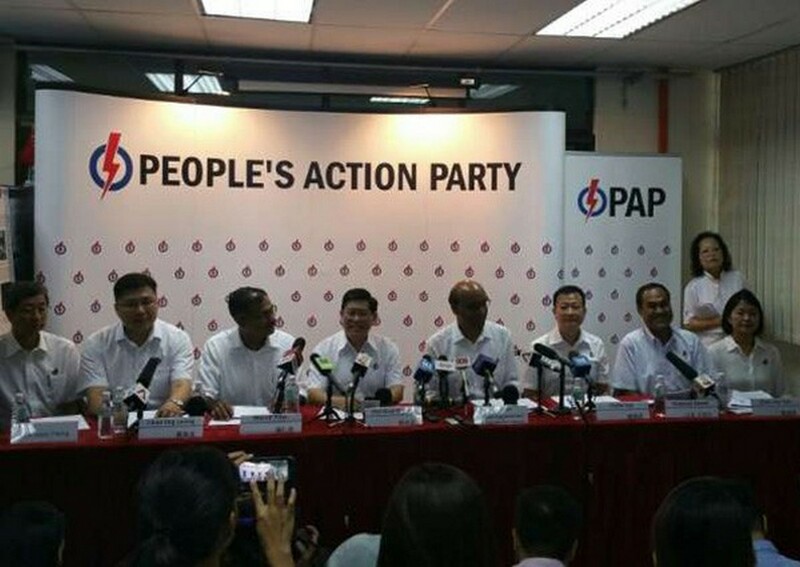 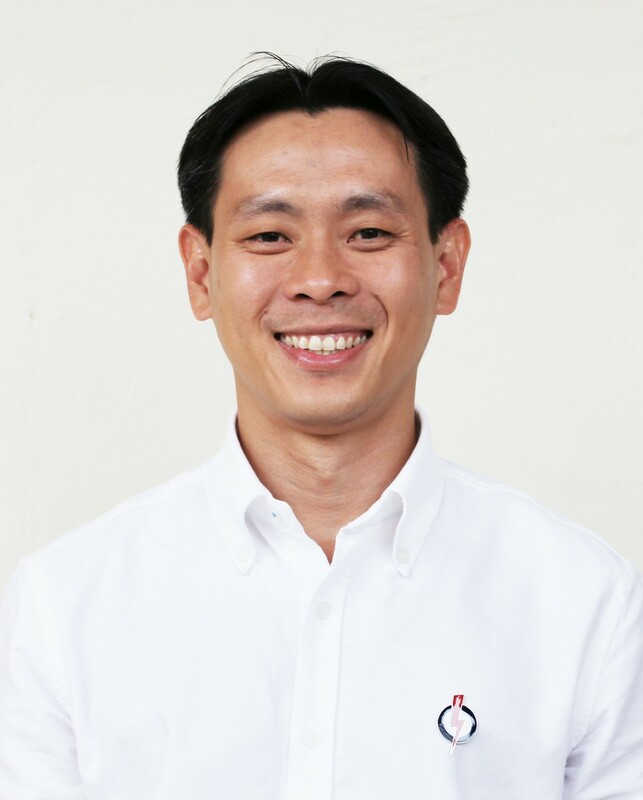 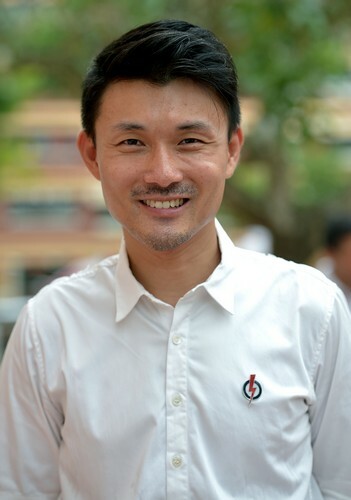 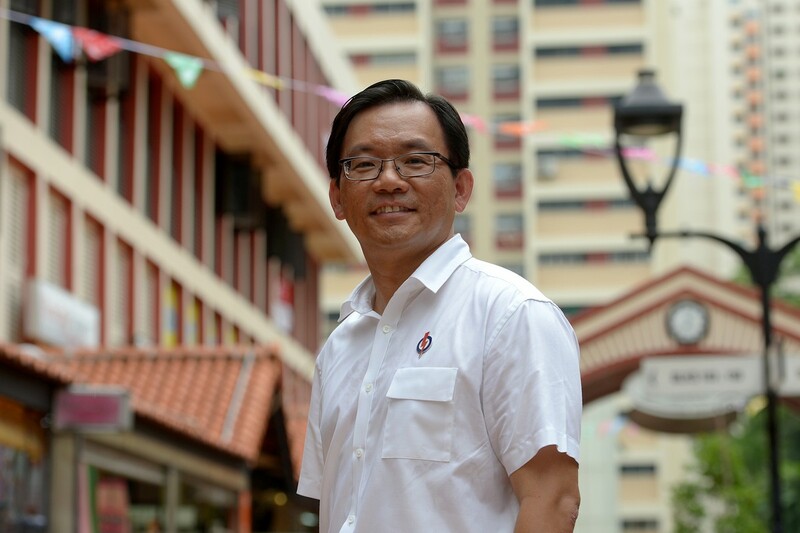 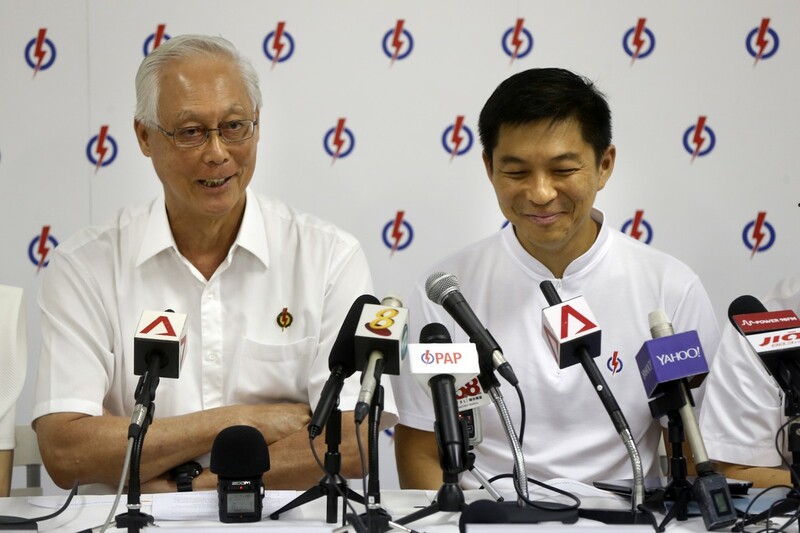 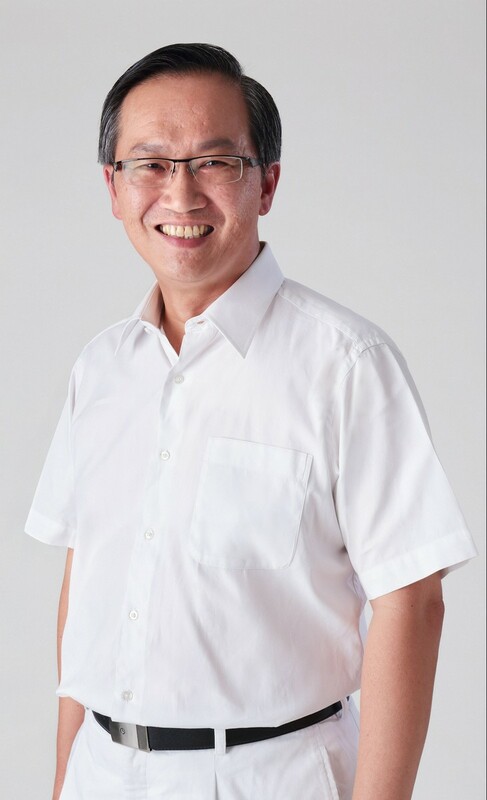 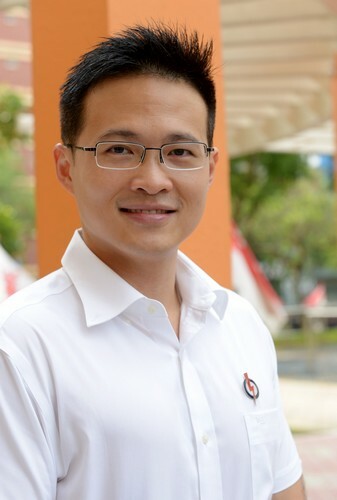 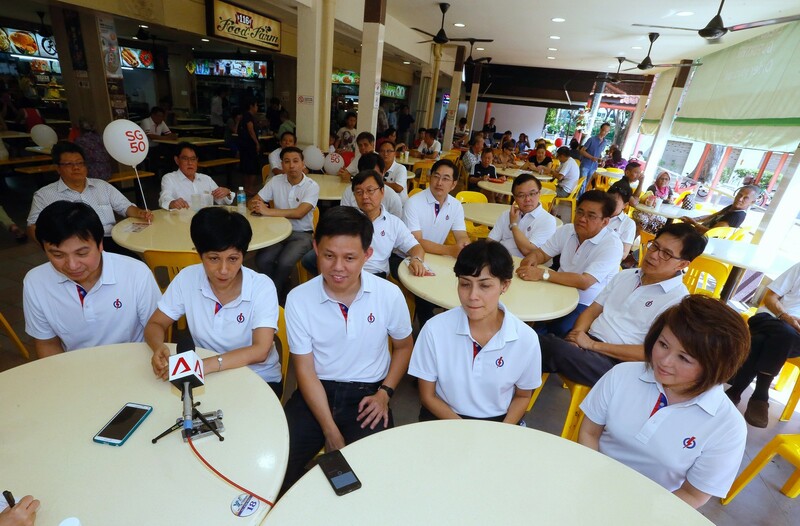 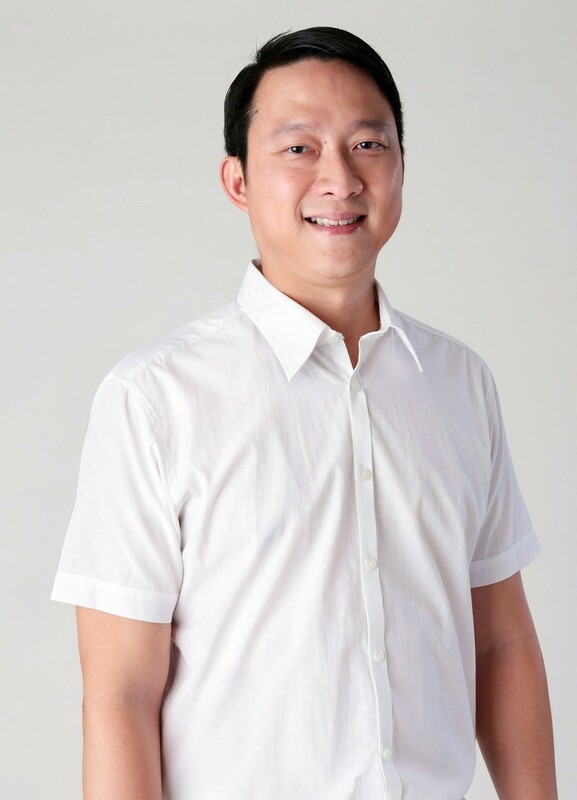 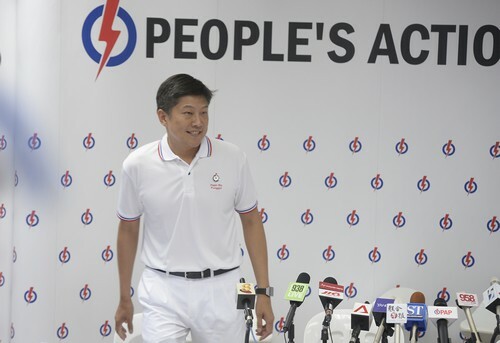 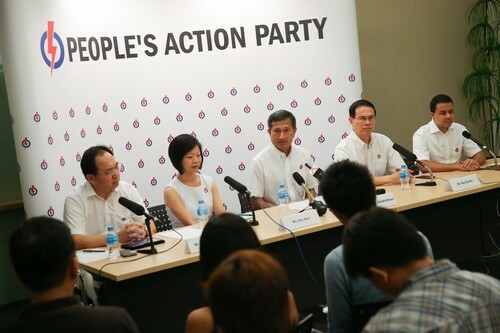 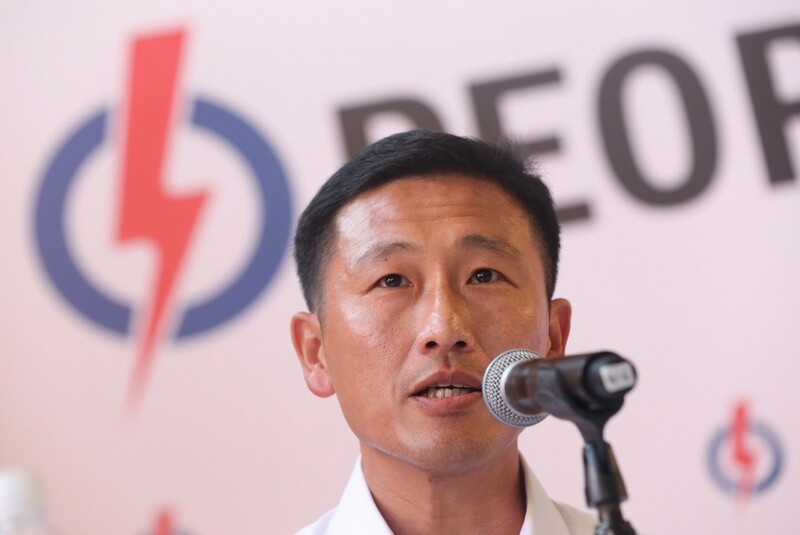 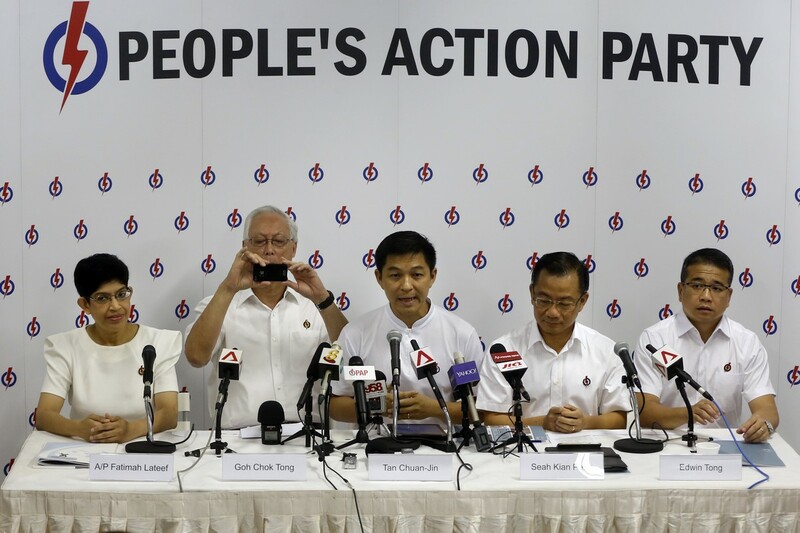 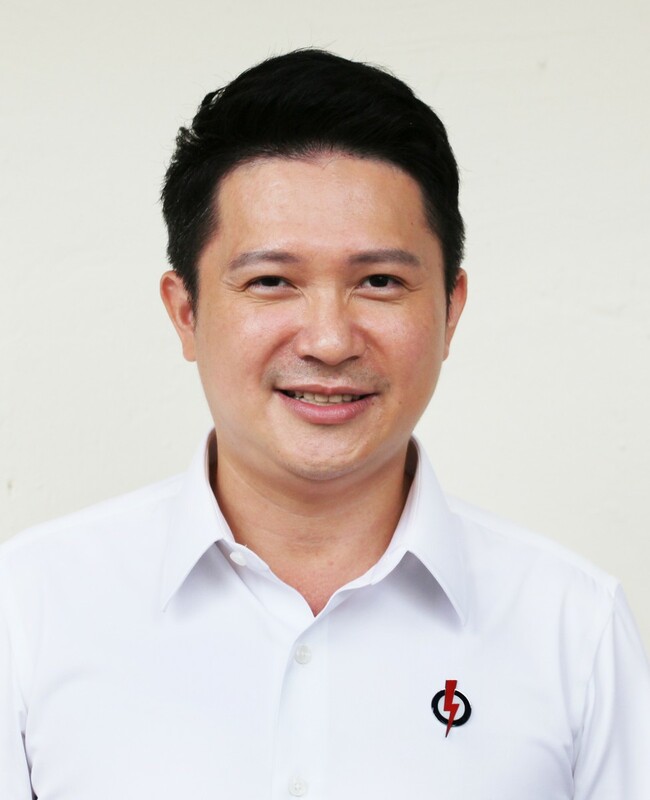 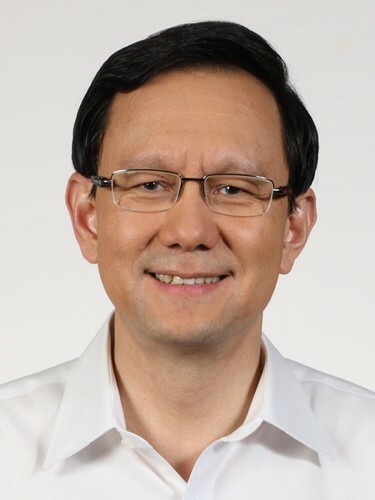 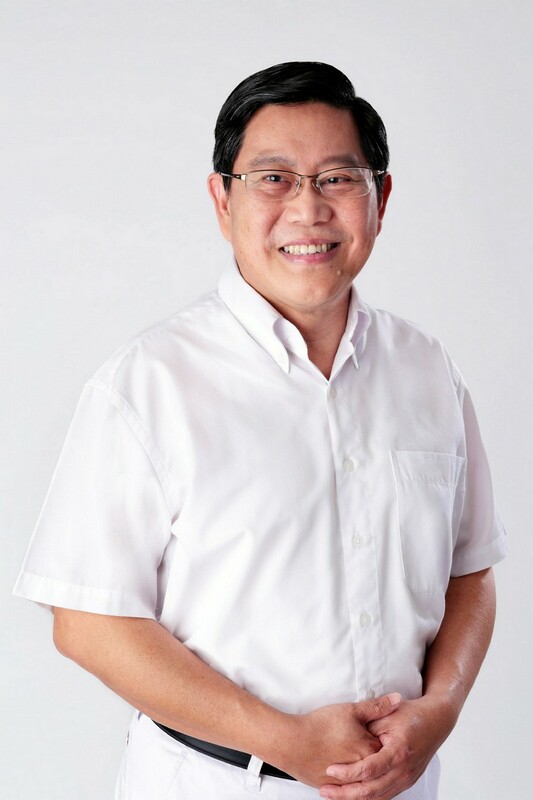 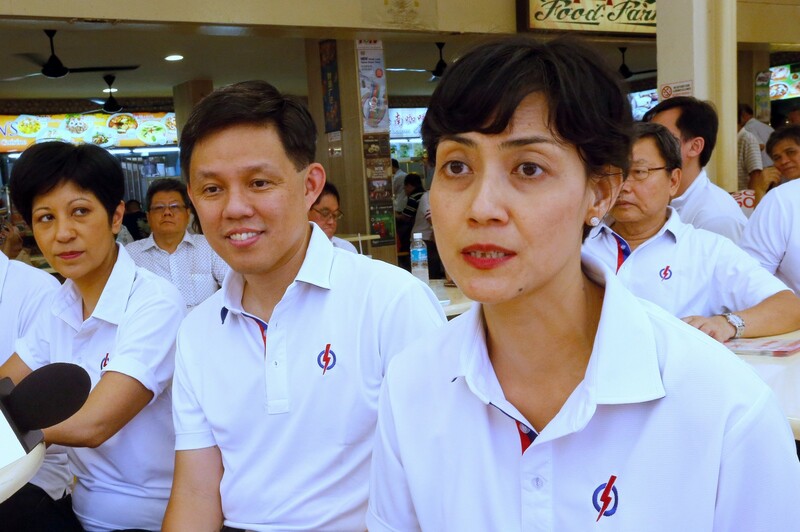 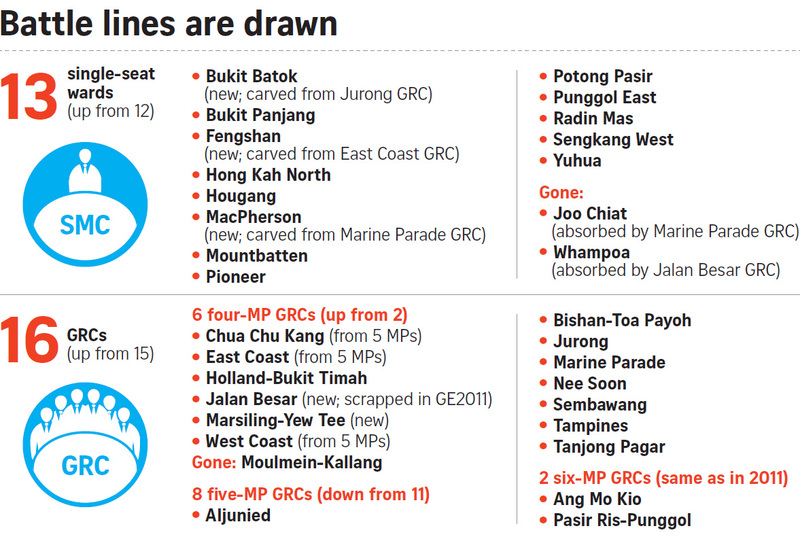 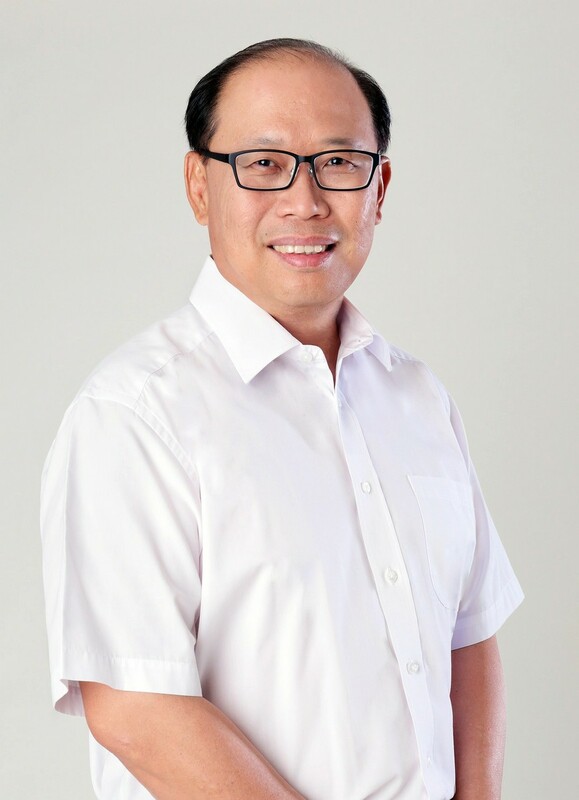 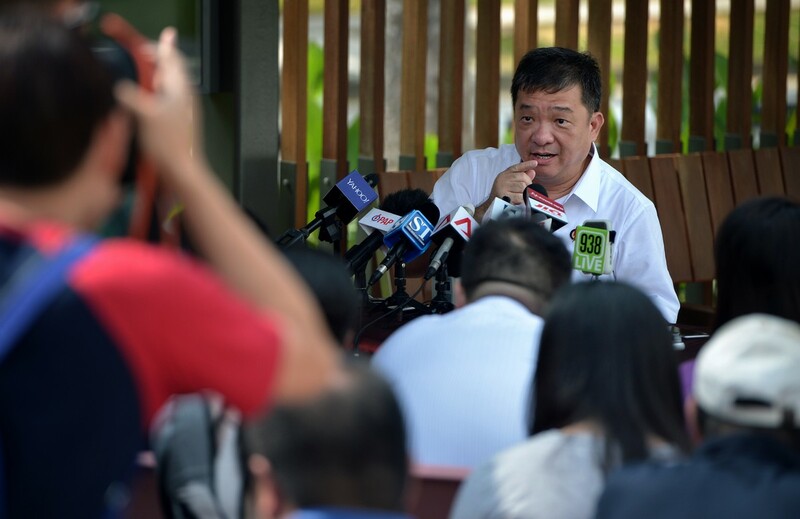 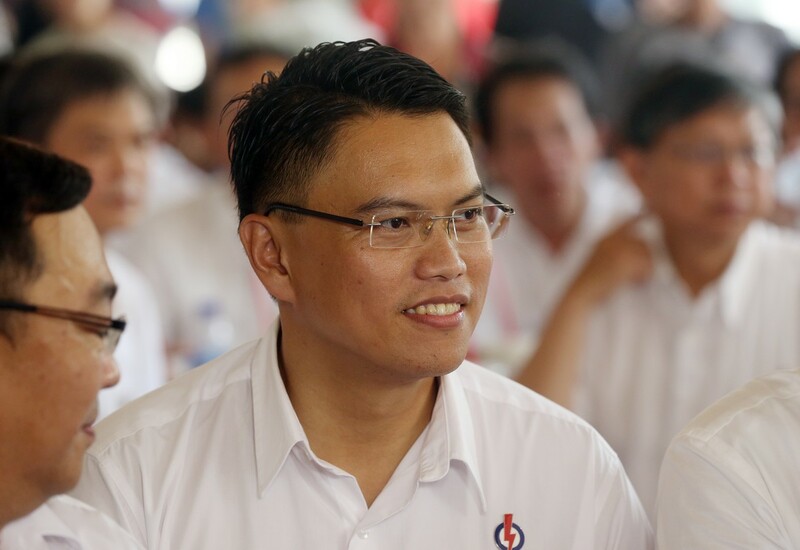 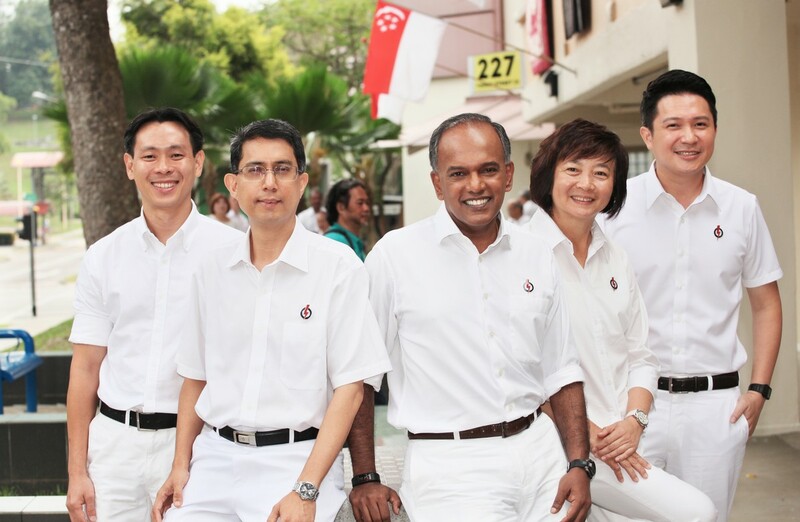 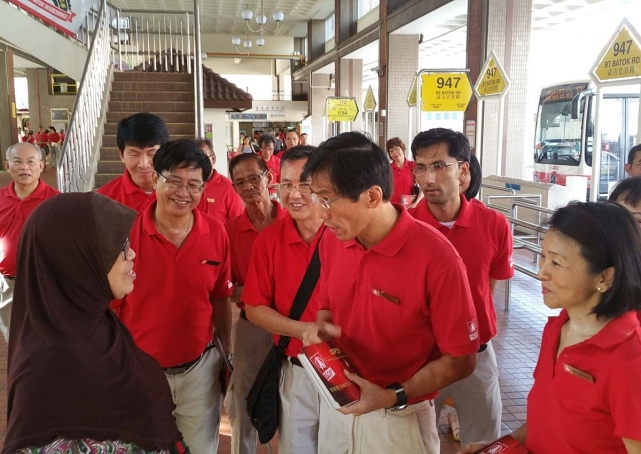 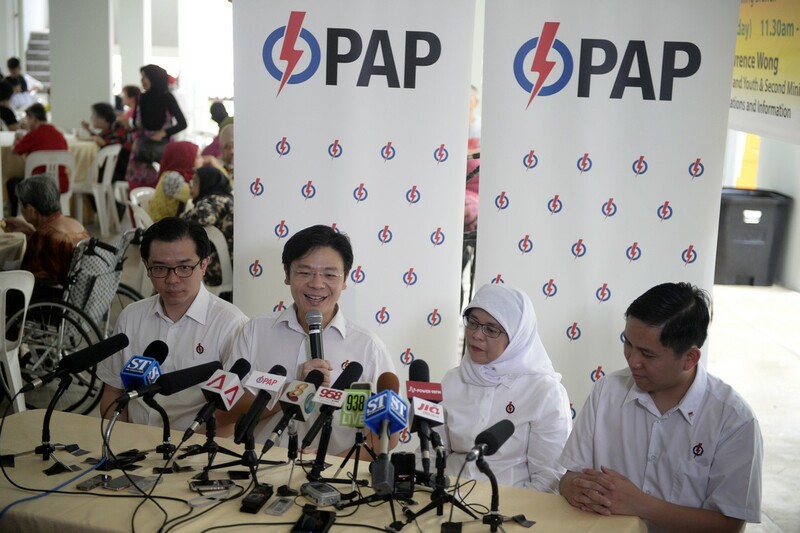 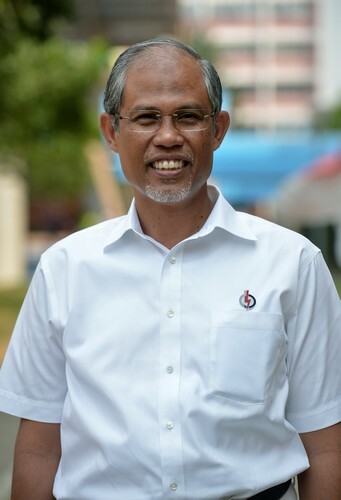 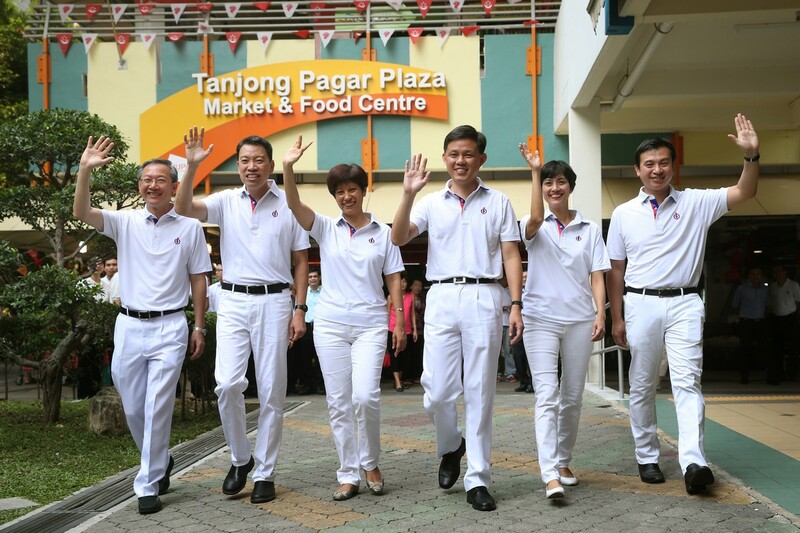 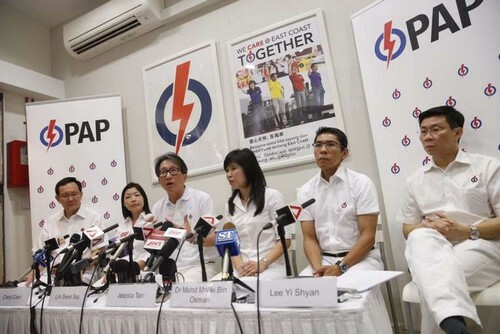 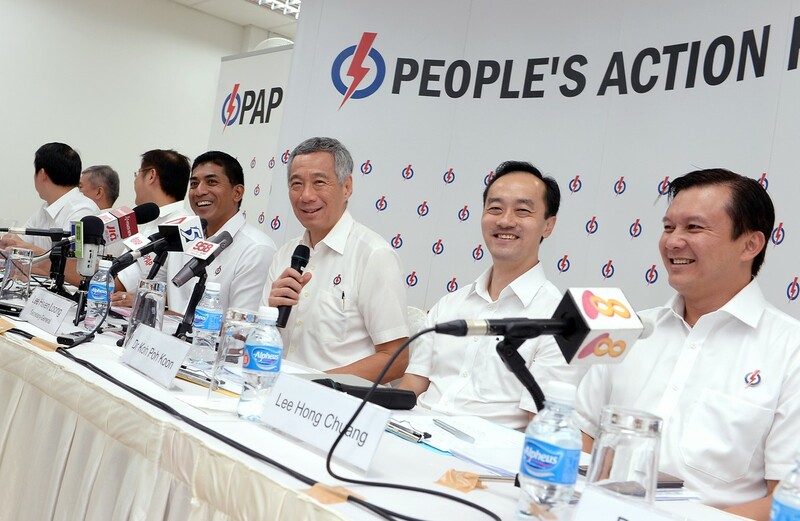 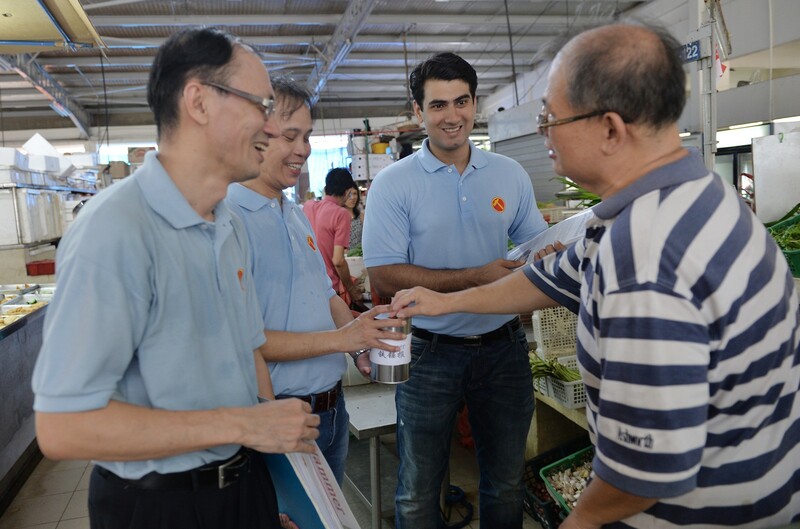 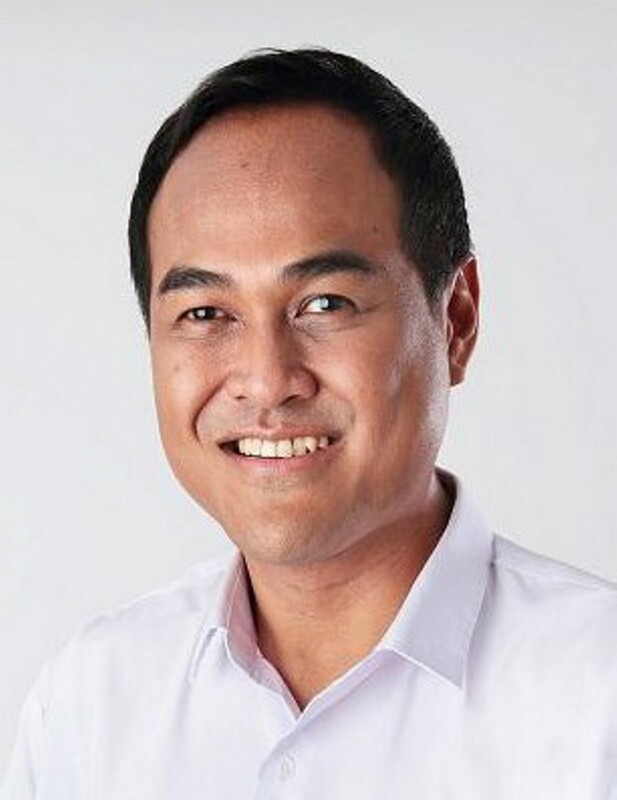 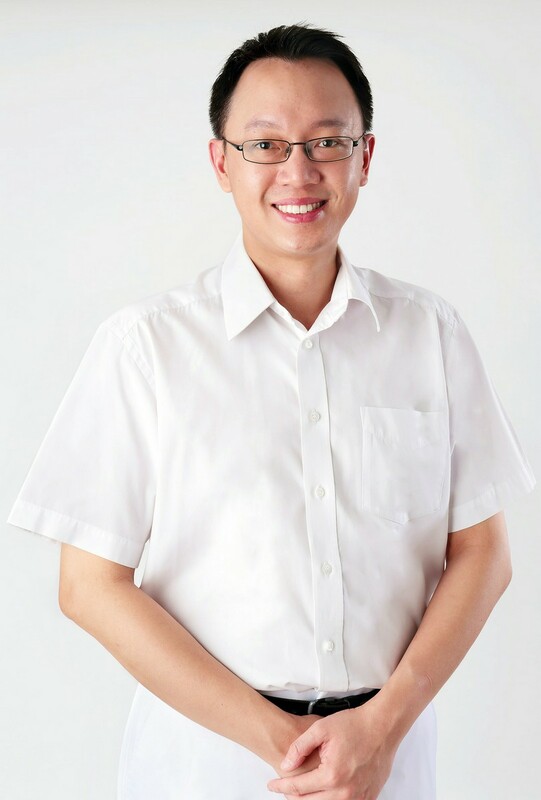 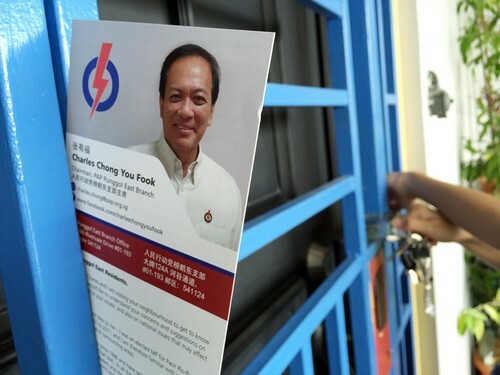 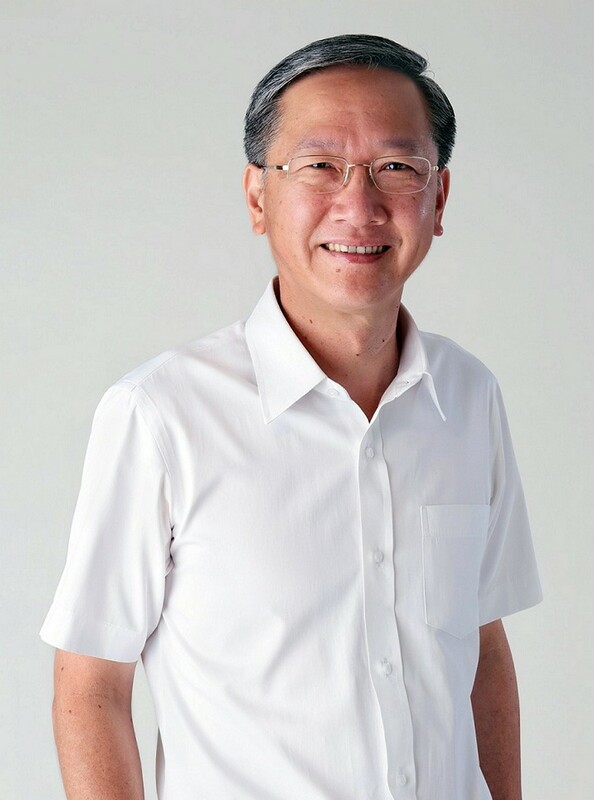 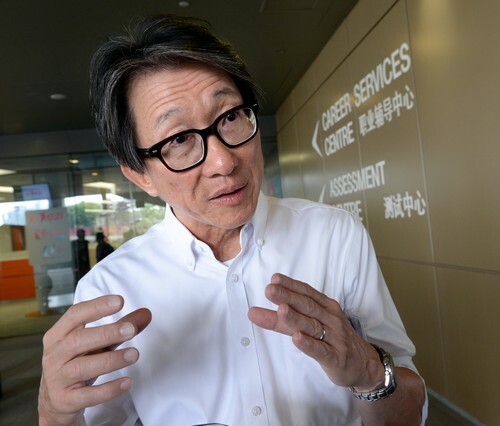 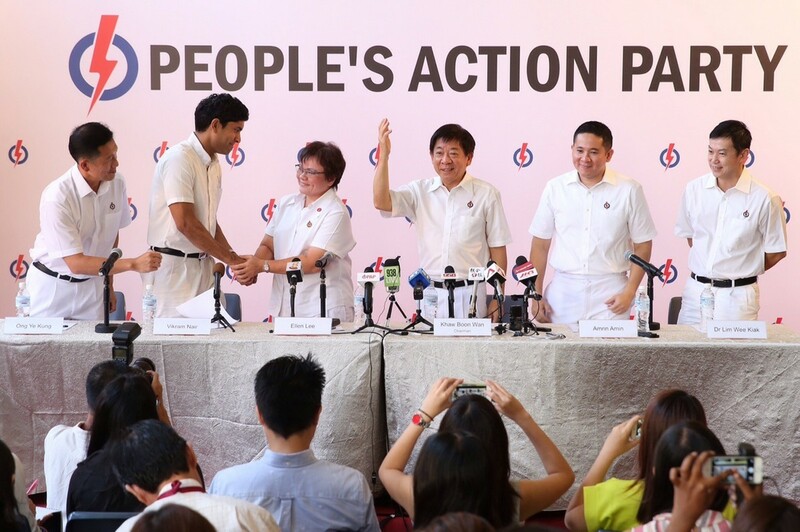 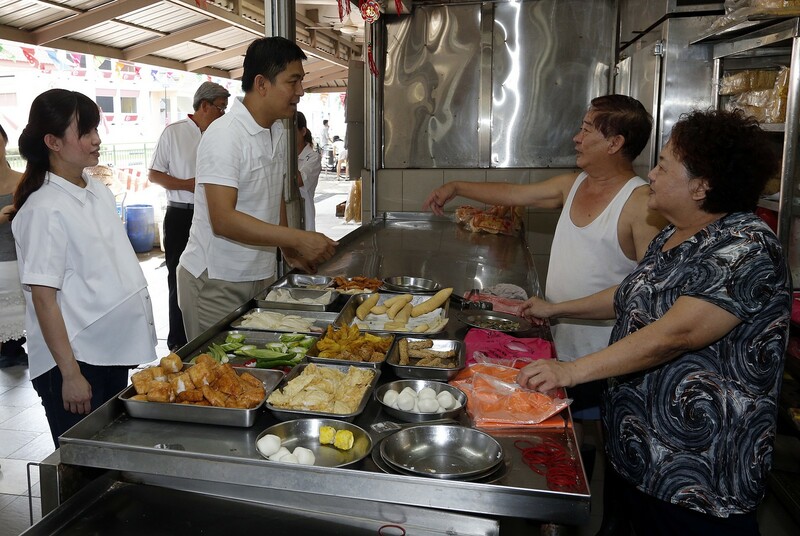 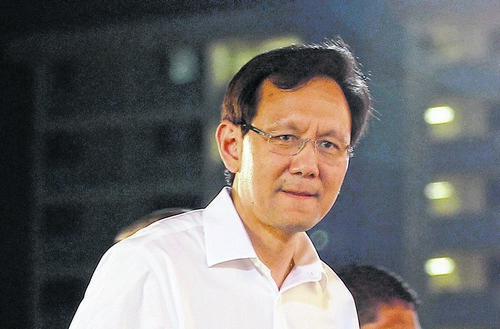 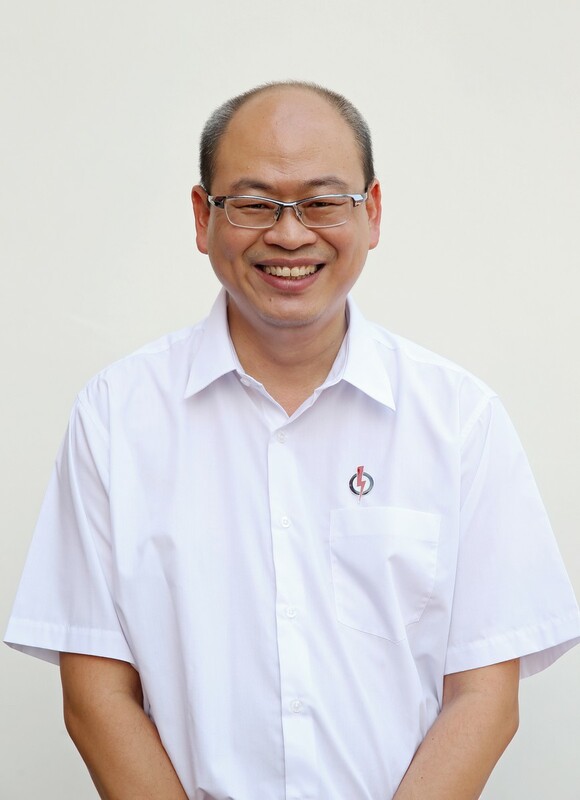 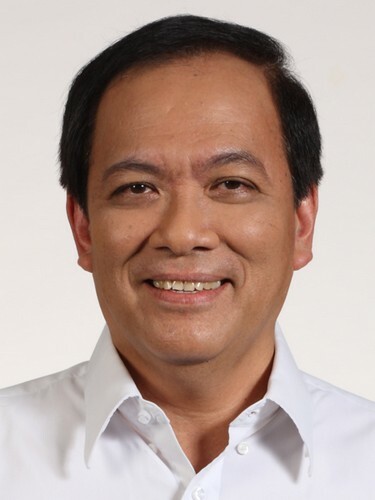 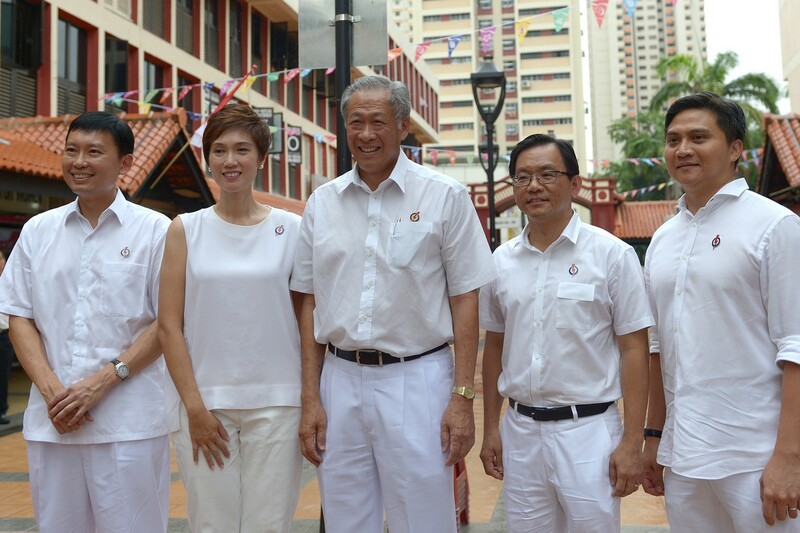 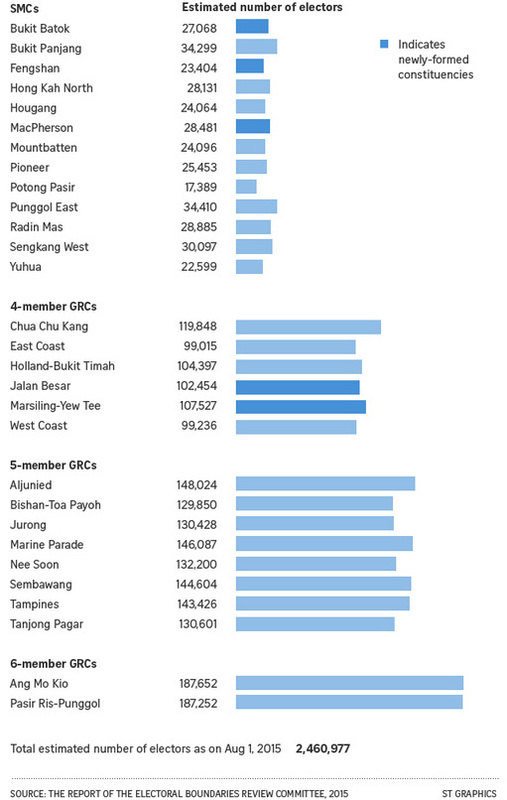 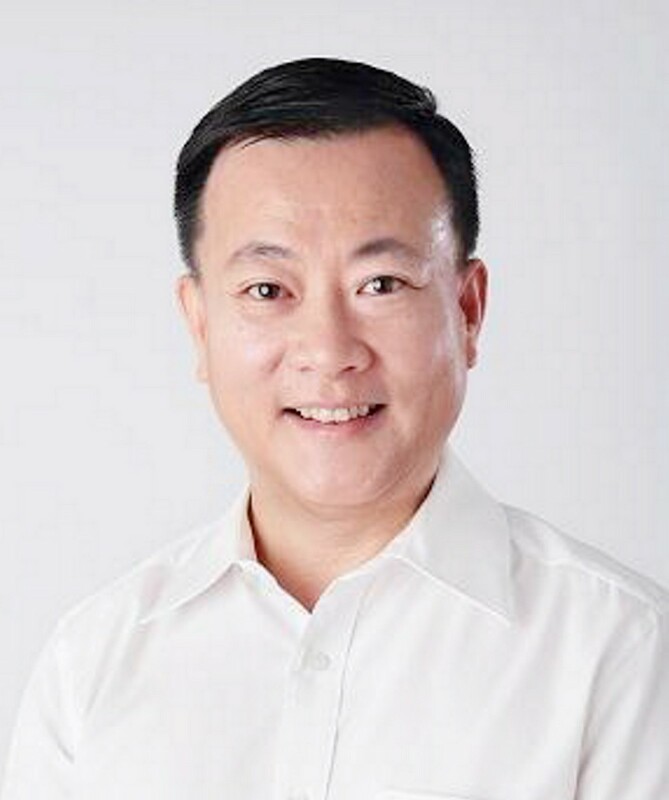 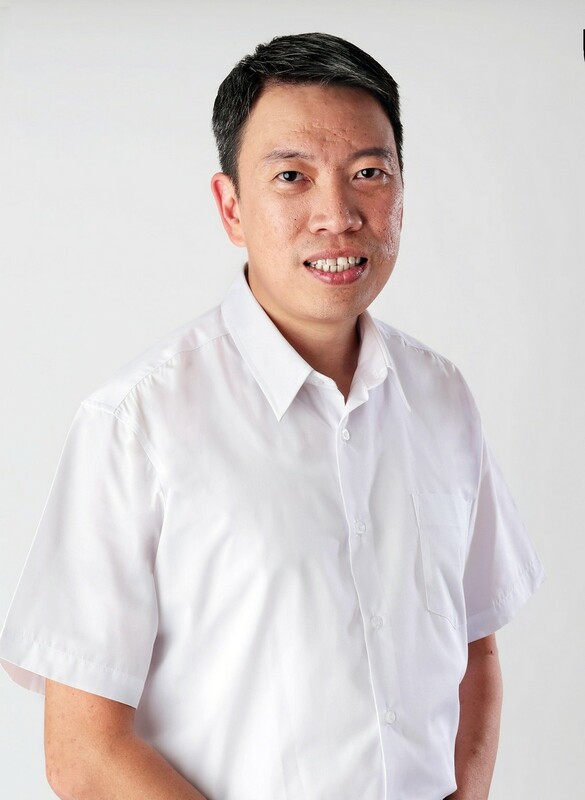 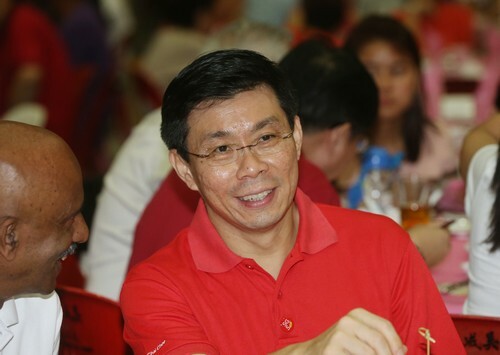 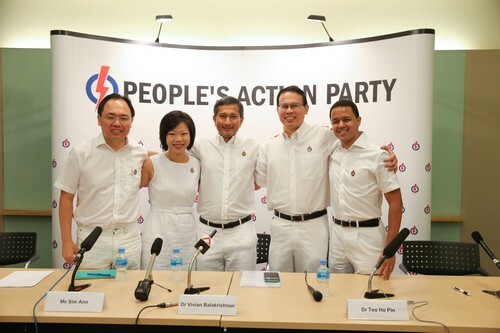 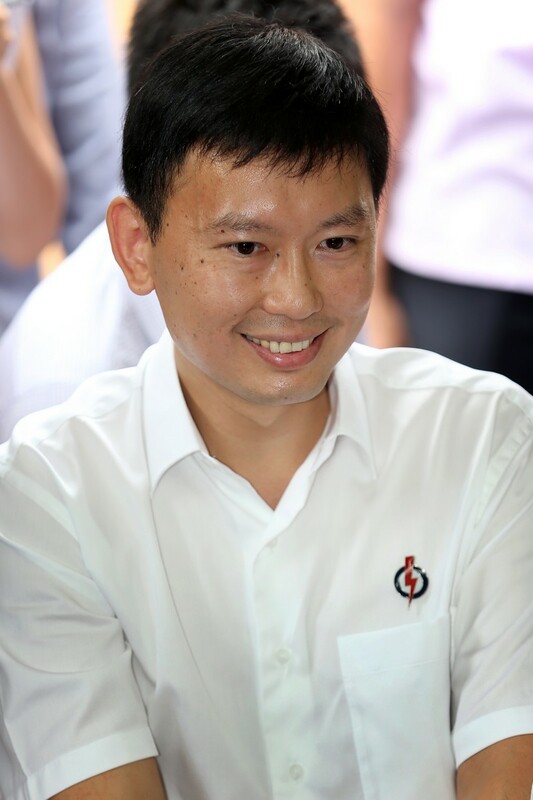 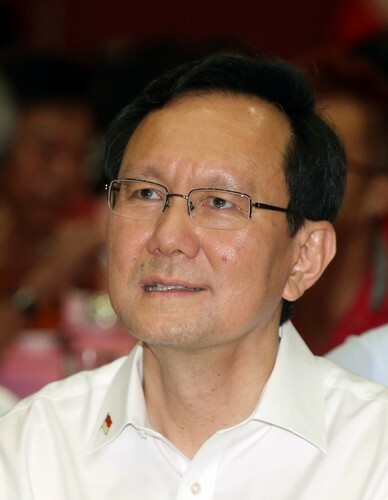 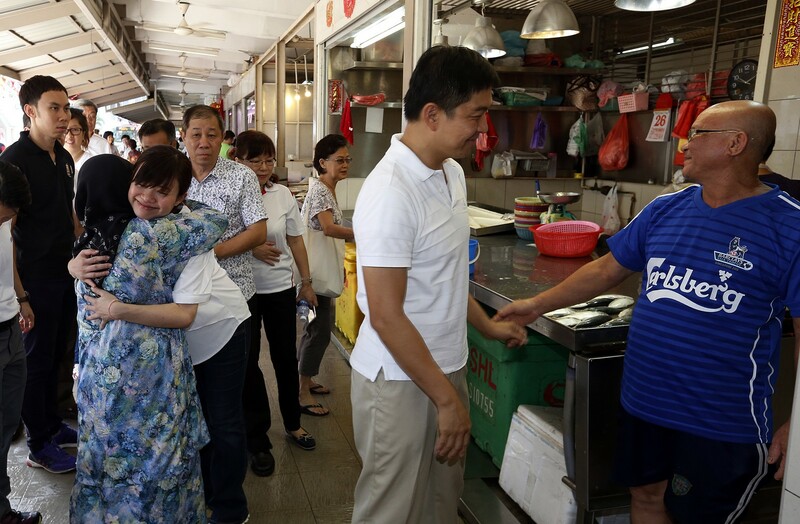 Both People's Action Party (PAP) newcomers also have ties with Tanjong Pagar GRC, which they hope will stand them in good stead in the coming election. 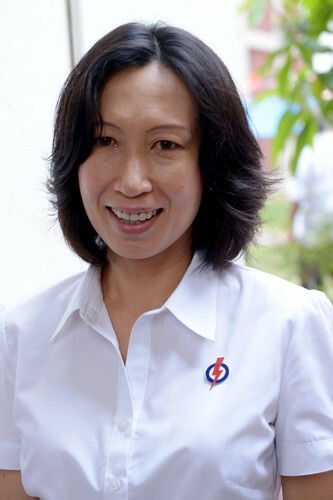 Ms Pereira, 48 and a mother of two, was a former People's Association (PA) director who spent over 10 years at Queenstown Community Centre, which comes under the group representation constituency. 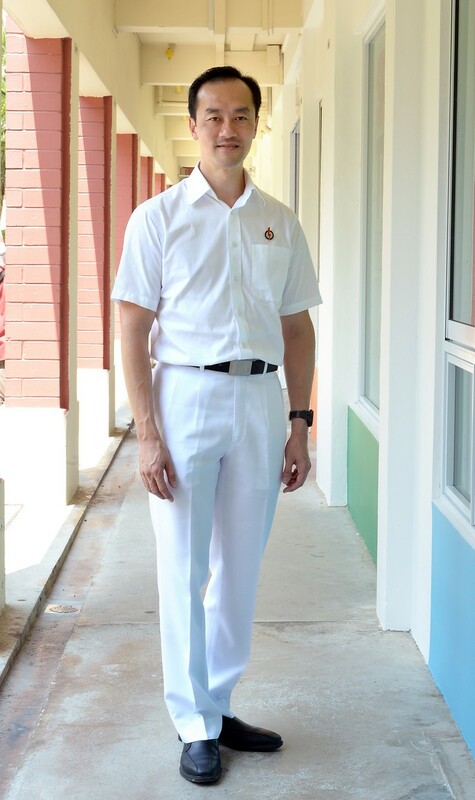 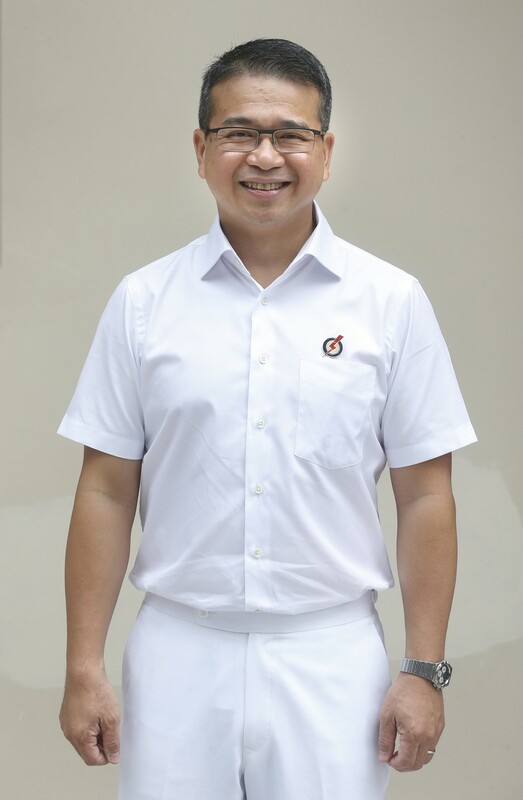 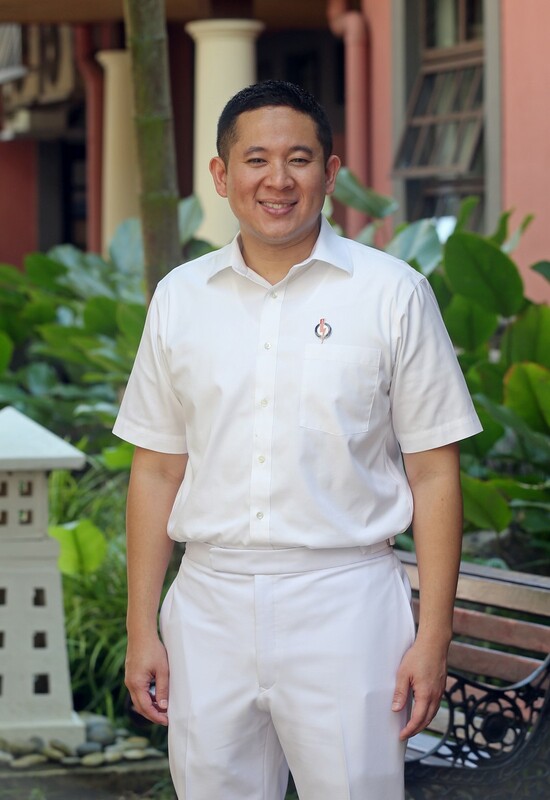 Mr Yong, 43 and a father of two, walked part of the GRC when he was the commander of Clementi Police Division from 2010 to last year. 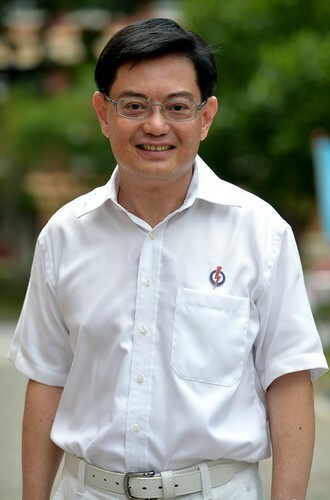 He helped to start several community schemes, including a football programme called the Delta League, with teams of at-risk youth. 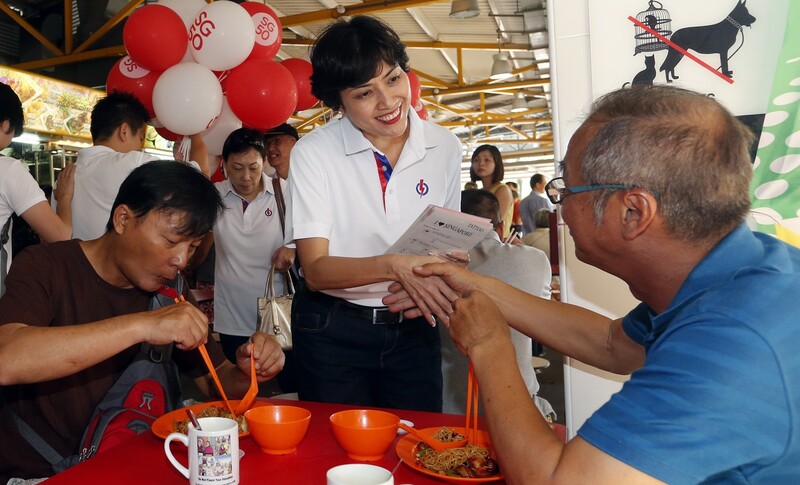 Both want to focus on bringing residents together to help one another. 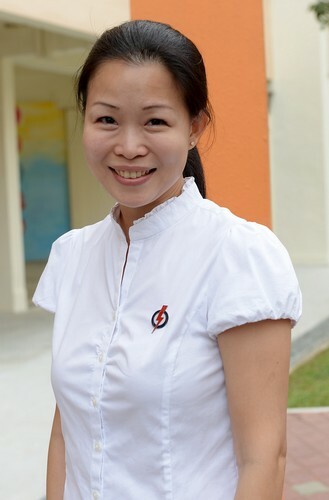 Ms Pereira is looking especially at helping the elderly, who form a bigger-than-average number in the GRC, while Mr Yong is eyeing ways to further engage youth. 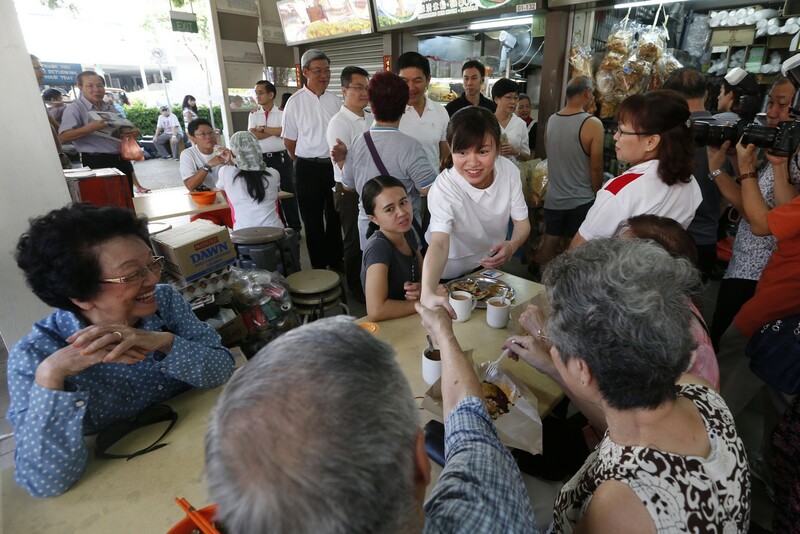 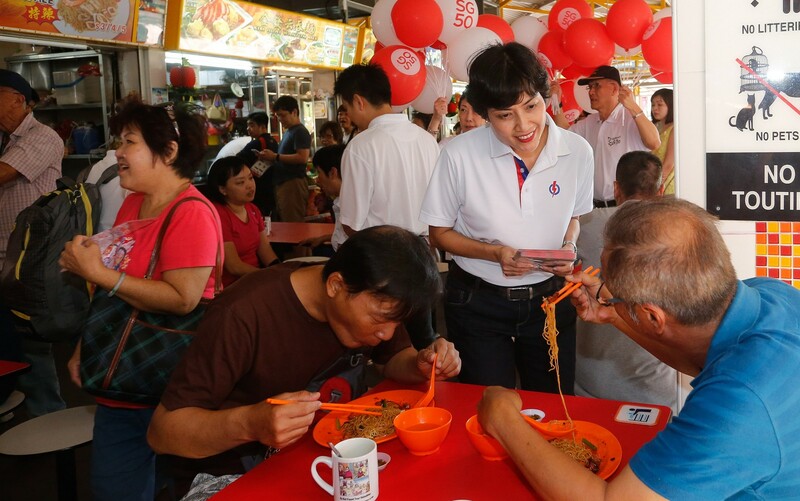 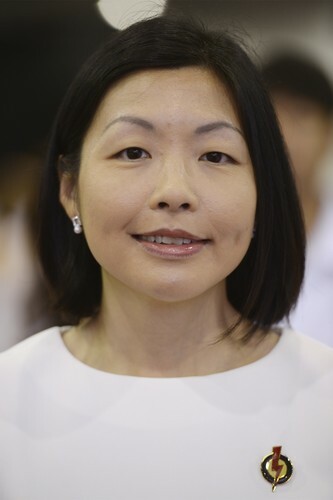 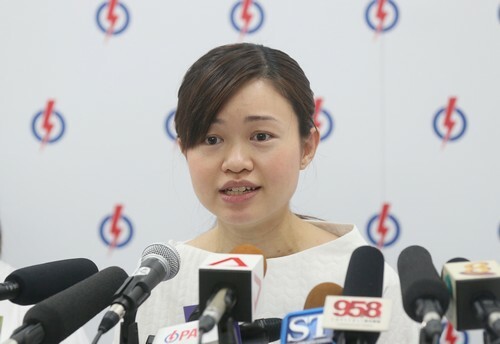 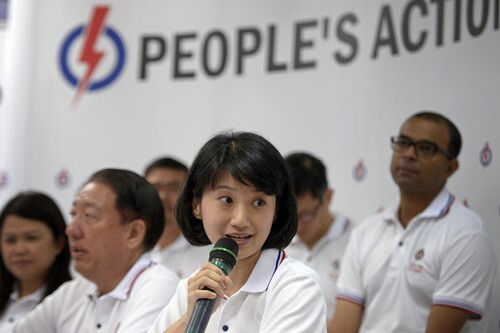 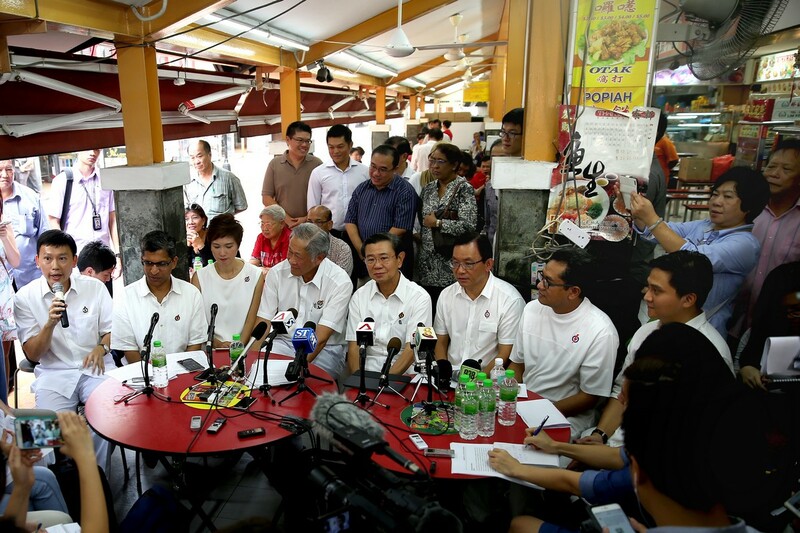 She said: "I've seen first-hand how suicides among the elderly were averted, because they were involved in community groups like qigong or had chit-chat sessions," she said at a PAP press conference yesterday to introduce the GRC's candidates for the coming election. 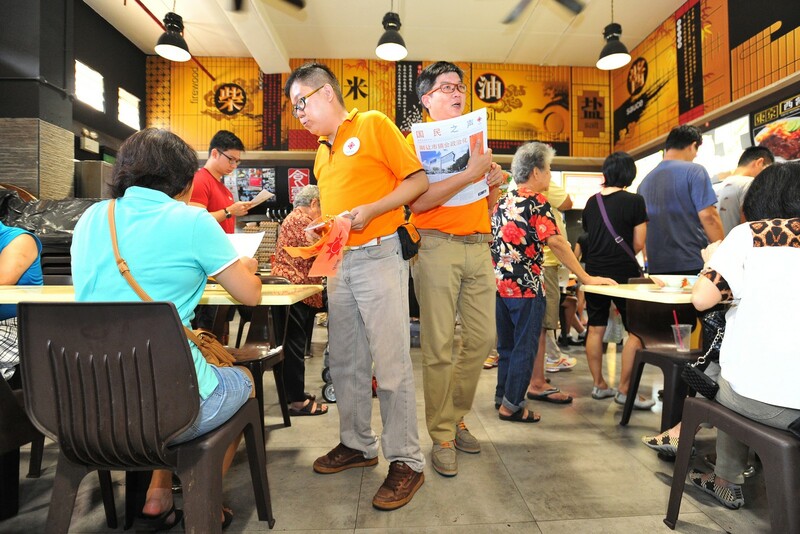 "The challenge is to reach out to as many elderly people as possible, so they can be part of an informal roll-call, in which the whole community is watching out for each other." 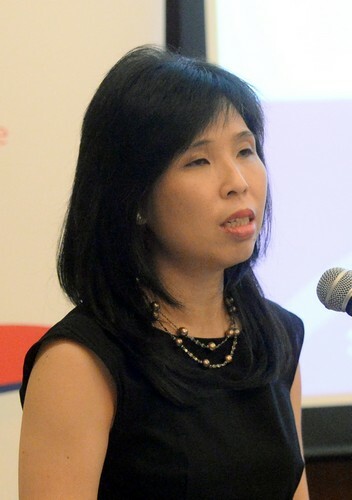 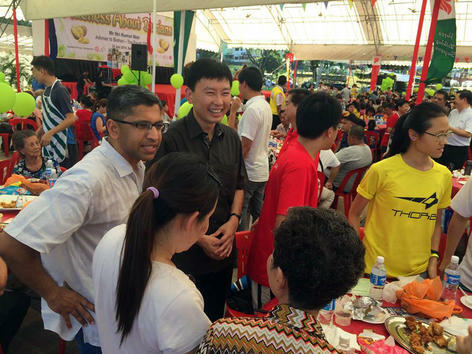 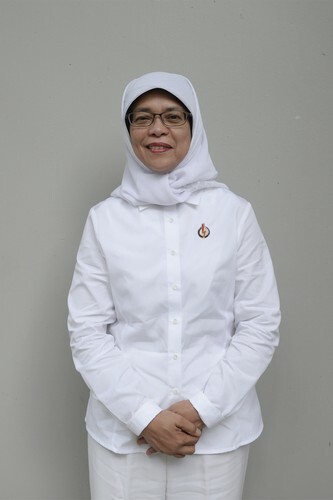 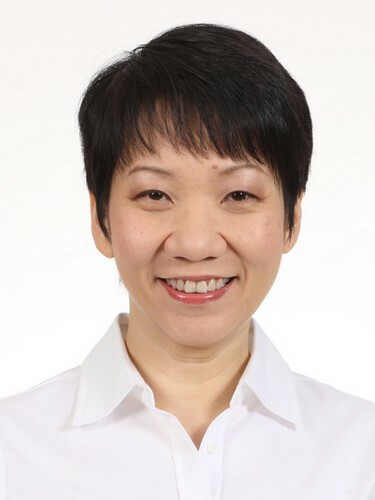 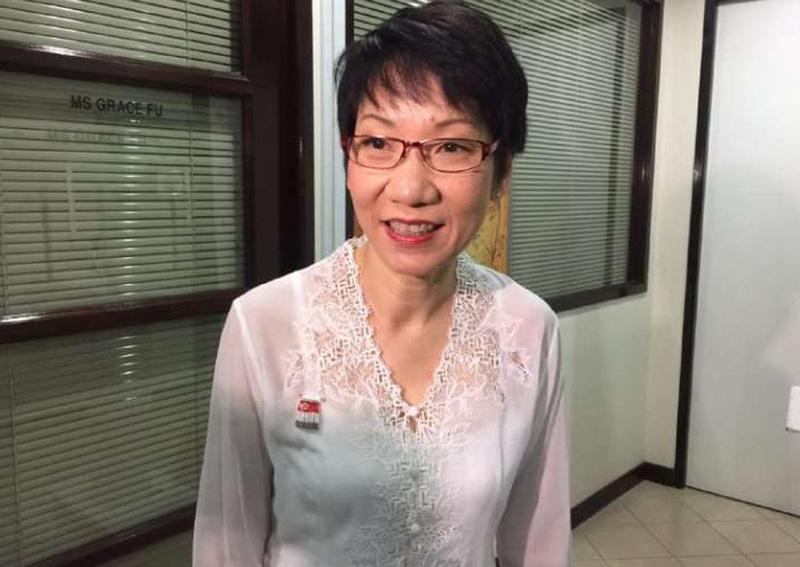 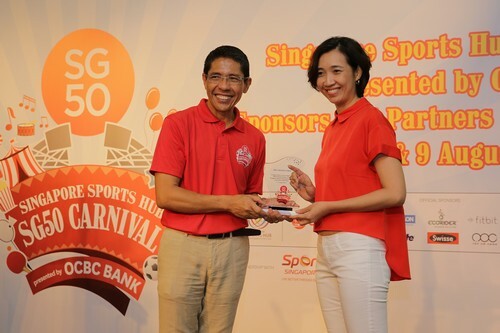 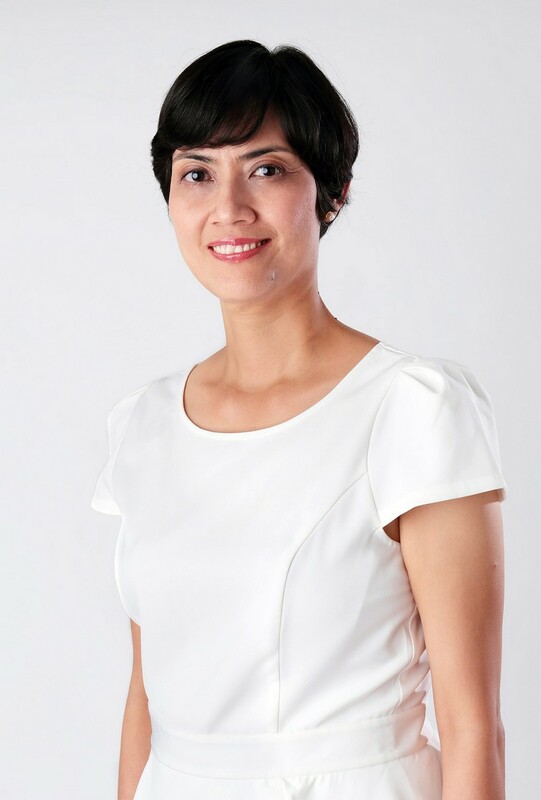 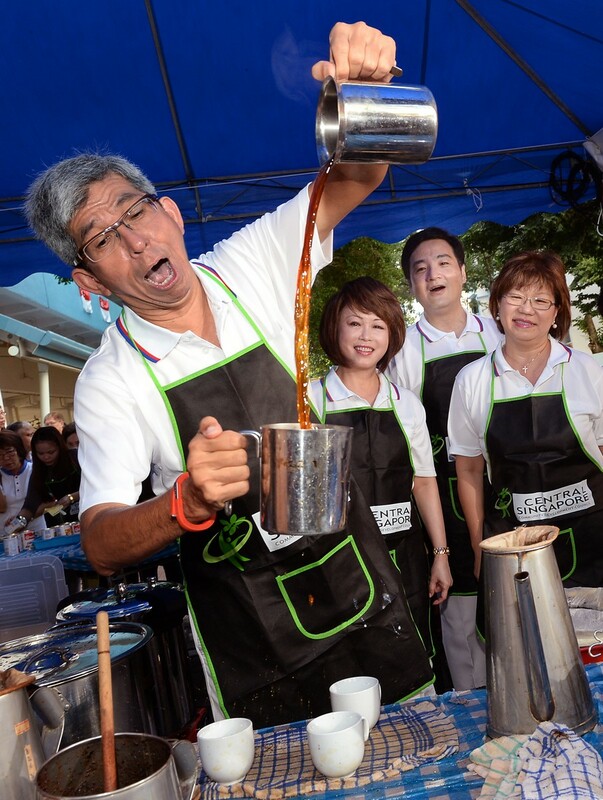 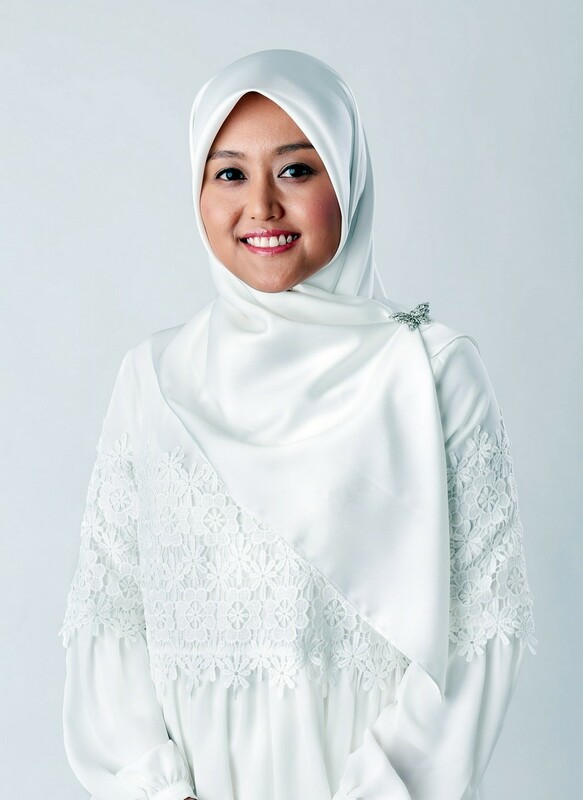 Ms Pereira joined Temasek Cares - Temasek Holdings' charity arm - as its assistant general manager in May, and began accompanying Senior Minister of State for Law and Education Indranee Rajah, an MP for Tanjong Pagar GRC, at her Tanglin- Cairnhill ward. 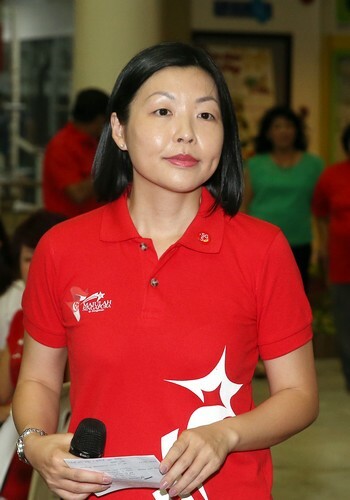 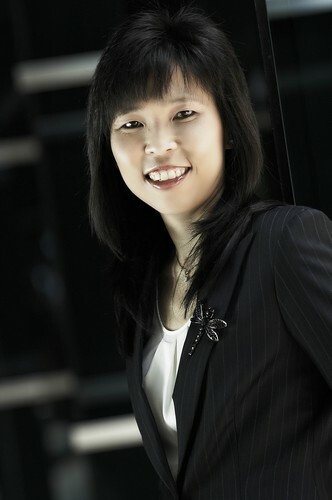 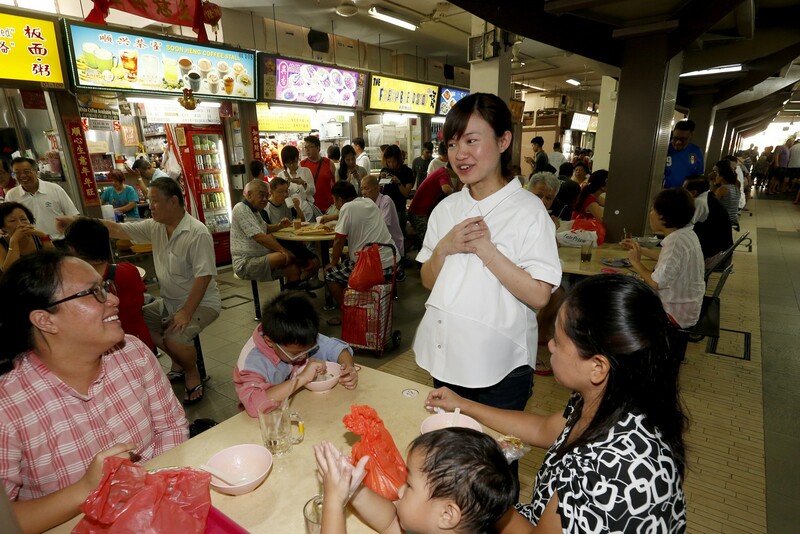 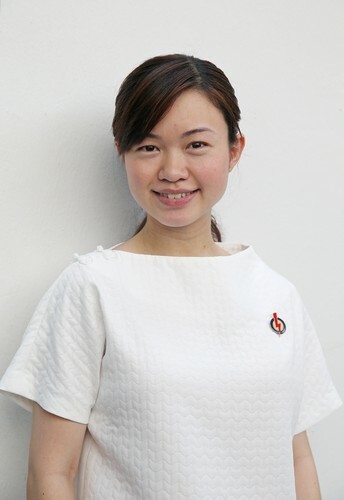 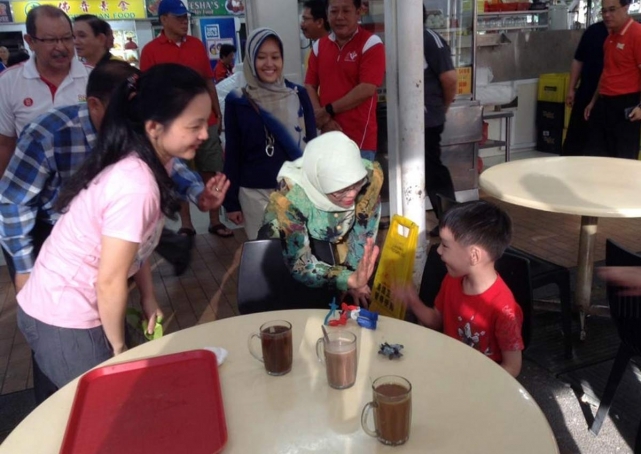 She has since helped residents solve problems at Meet-the-People sessions and co-founded new programmes, such as a dental screening programme for the elderly at Henderson Community Club. 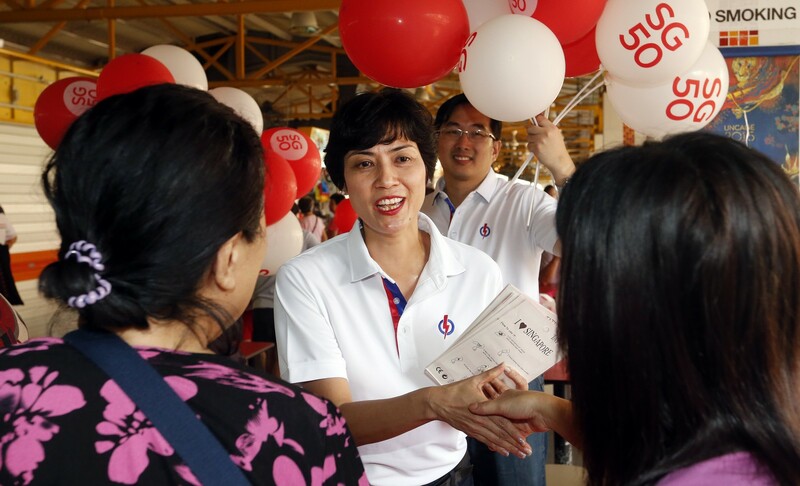 "If elected, I hope to help create more meaningful programmes to build a tightly knit community," Ms Pereira said. 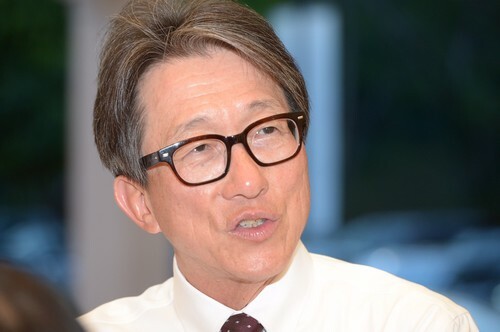 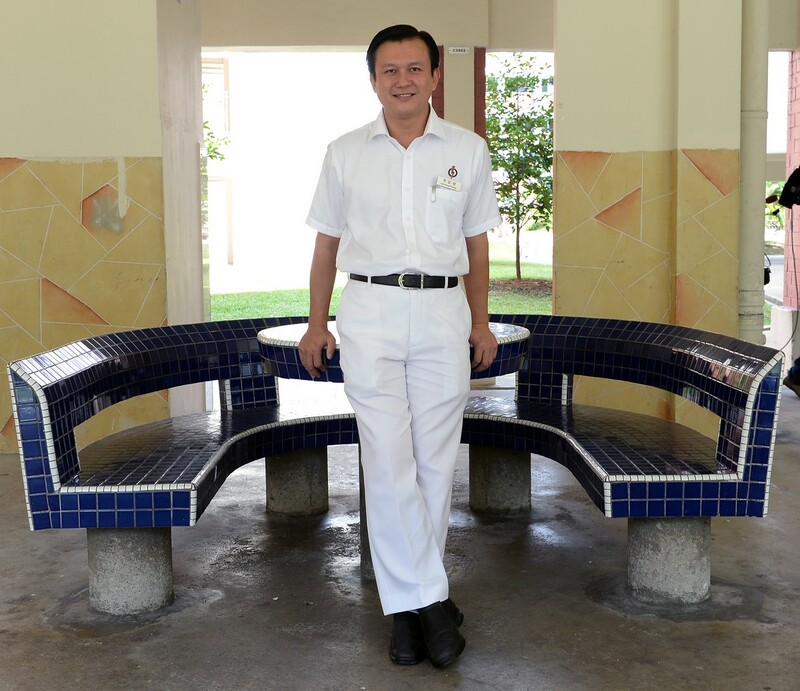 Mr Yong, whose final day in the police force was Sunday, said his priority is to "quickly re-acquaint myself with as many residents as possible, and for them to know me". 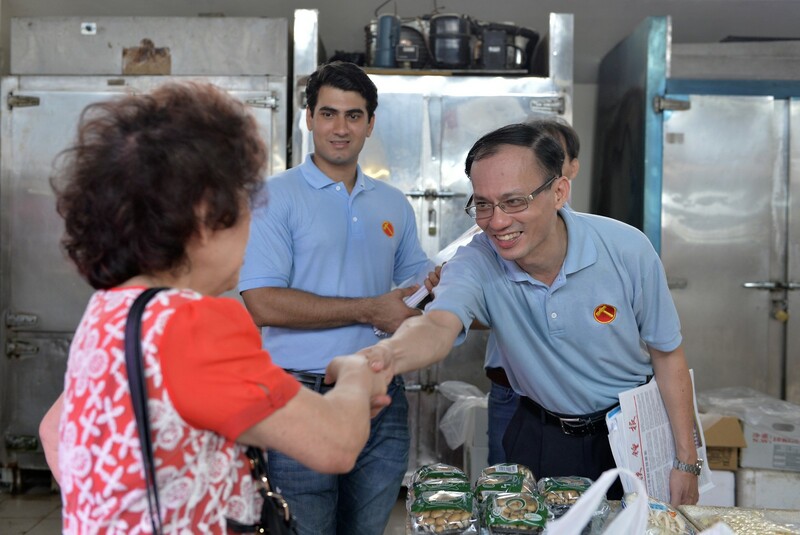 He will knock on doors daily and visit markets and local gathering places to meet residents, he said. 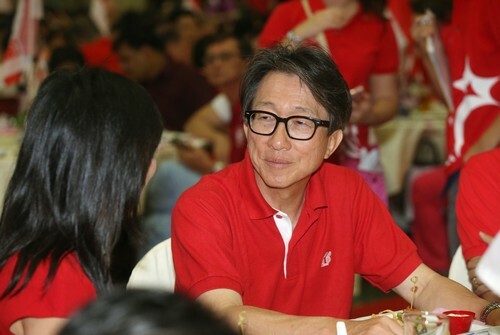 Explaining his motivation for starting the Delta League, he said: "If we can get youth away from the risky business of crime, then our future generation will be okay. 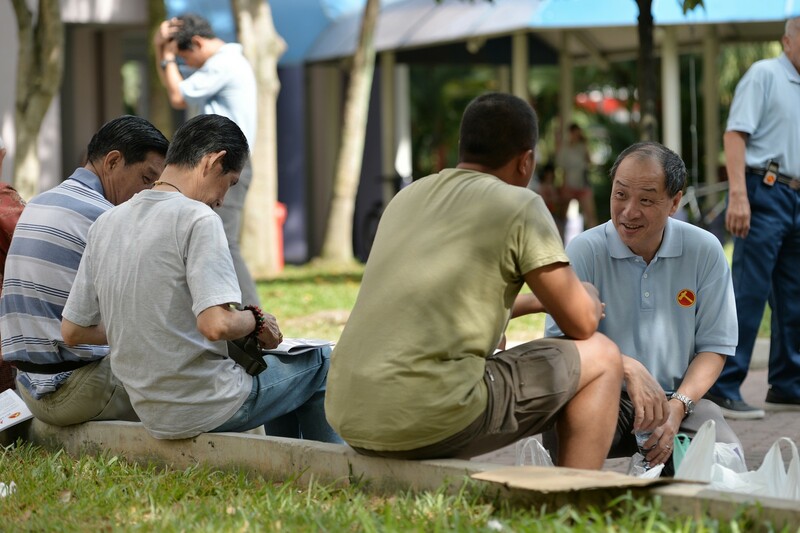 "But after-school talks aren't always effective. 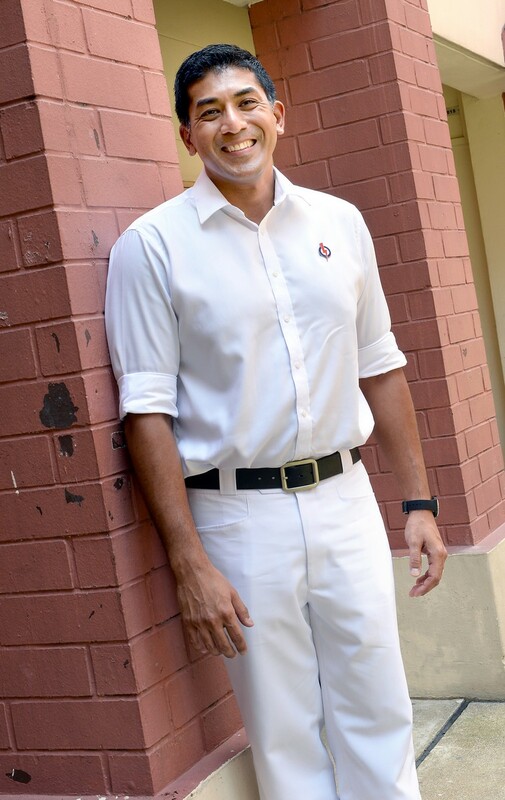 We wanted the boys to come to the police voluntarily, so we could encourage and motivate them." 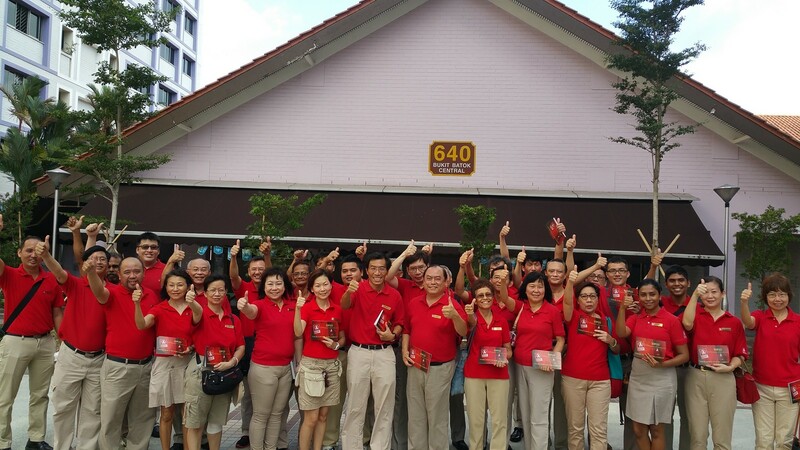 The league, which began in Tanjong Pagar GRC's Queenstown ward, has expanded nationwide, with over 10,000 youth taking part. 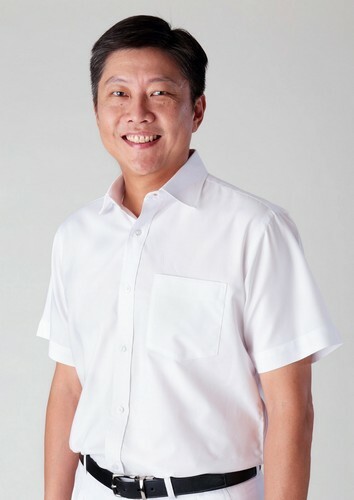 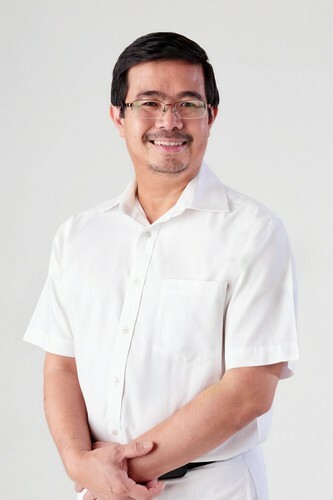 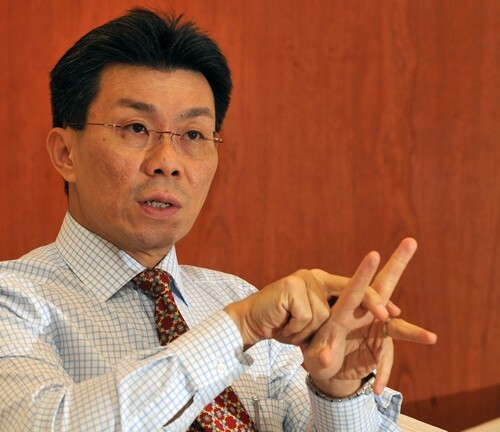 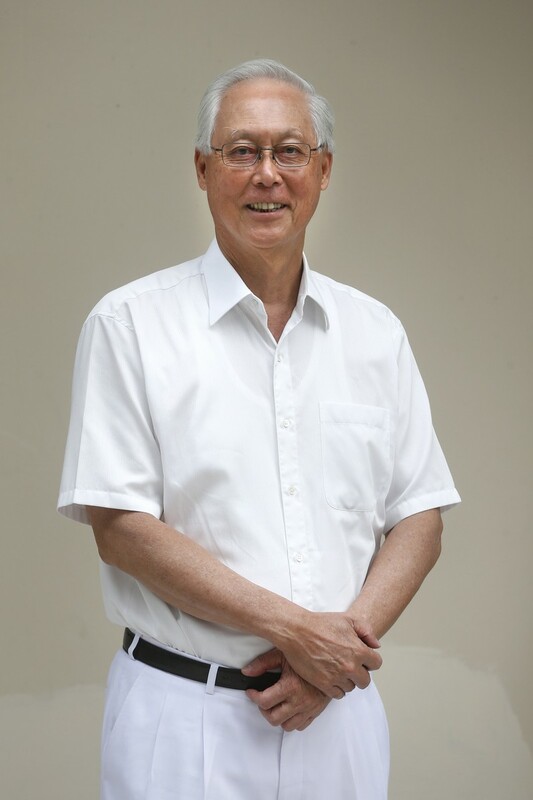 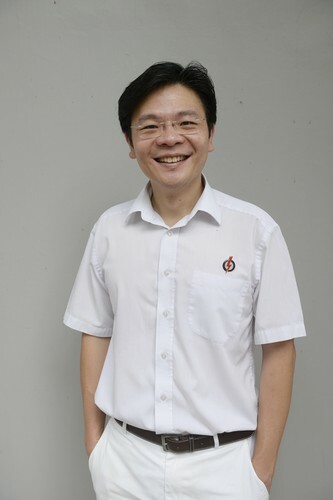 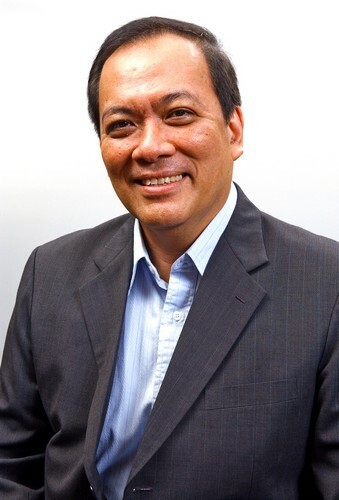 Mr Yong said that, if elected, one of his first plans will be to create a community where "people care about each other". 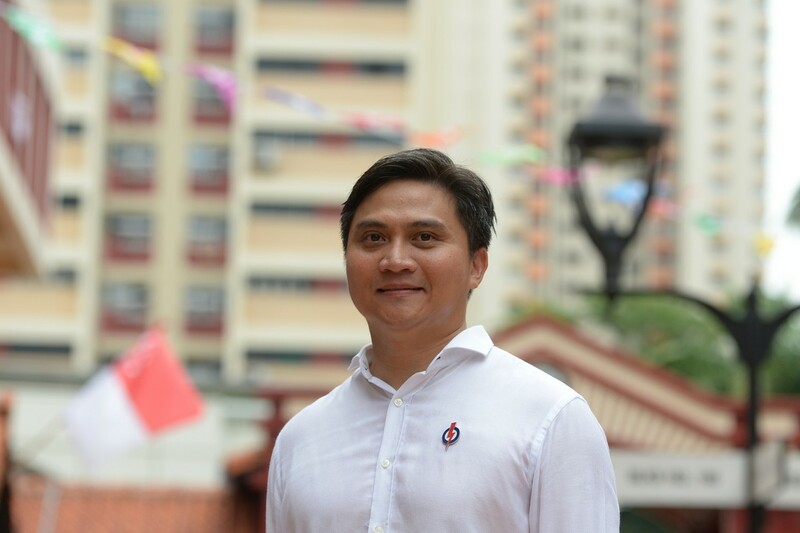 When asked whether he would be a full-time MP or potential officeholder, he brushed the question aside, saying: "I have no plans currently, other than to focus full time on the residents and the election." 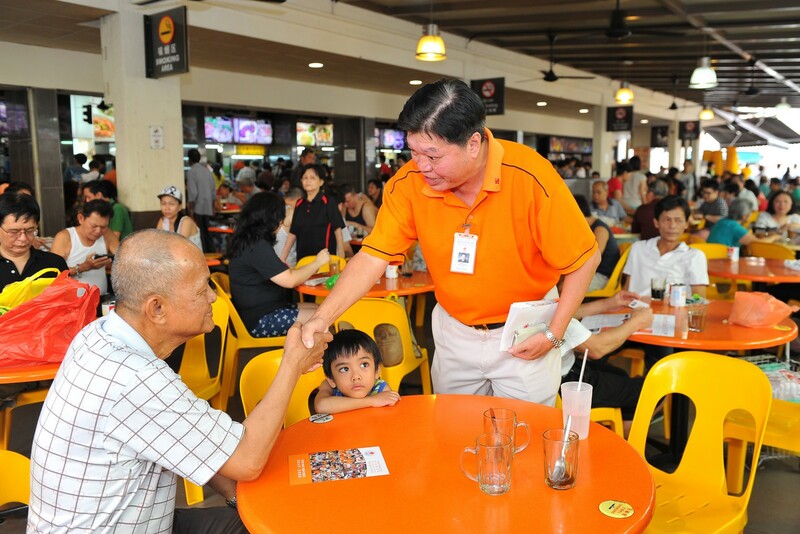 All 25 years of my working life, I've been with the grassroots. 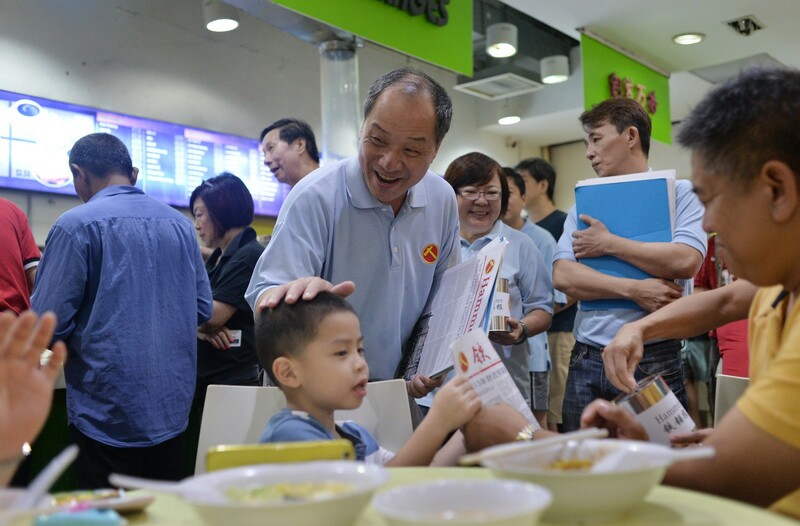 I've been... working with residents of all ages and walks of life. 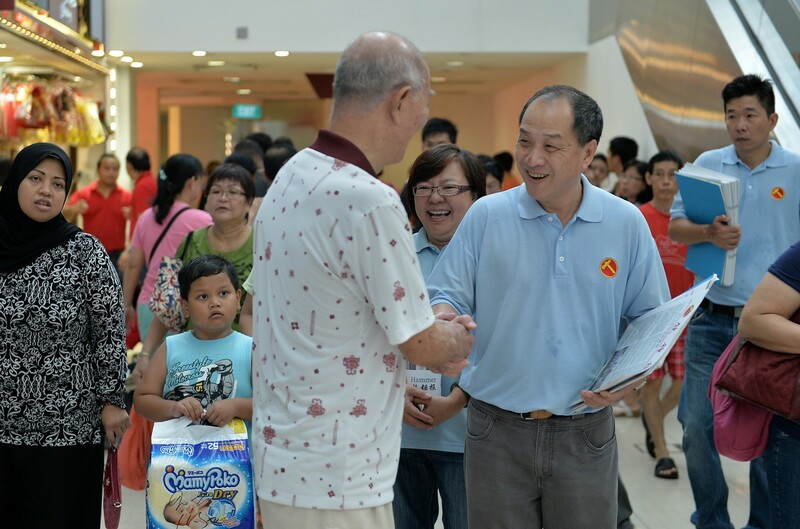 I love people; they are always at the centre of all I do, think and say. 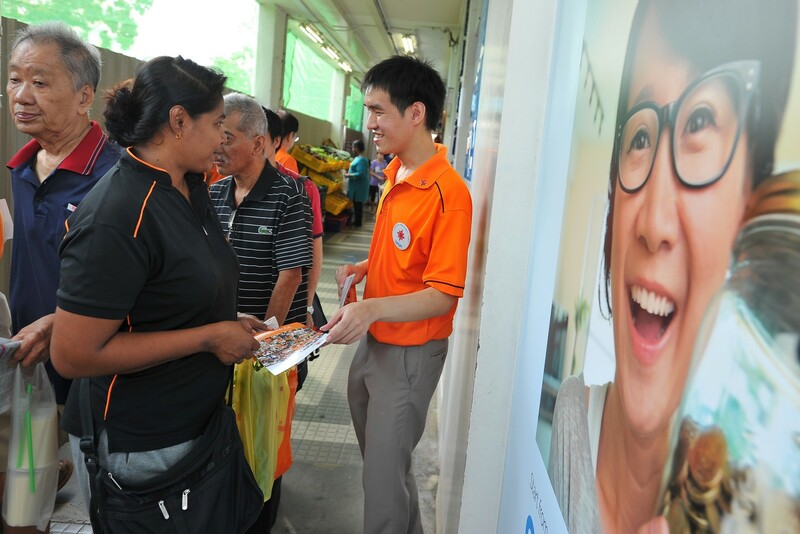 Therefore, when I was approached, I decided that this would be a different platform where I could serve them. 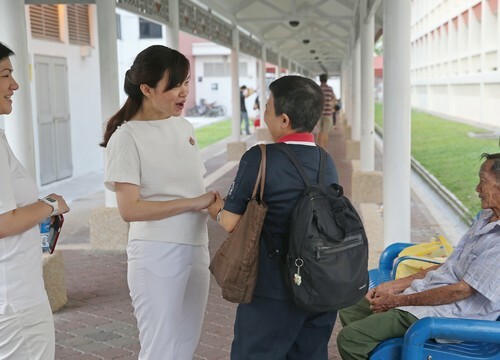 My 25 years of grassroots experience - working with the ground, listening to residents and being close to them - will let me bring a diversity of views to policymakers, which is important because the needs of society are ever-changing. 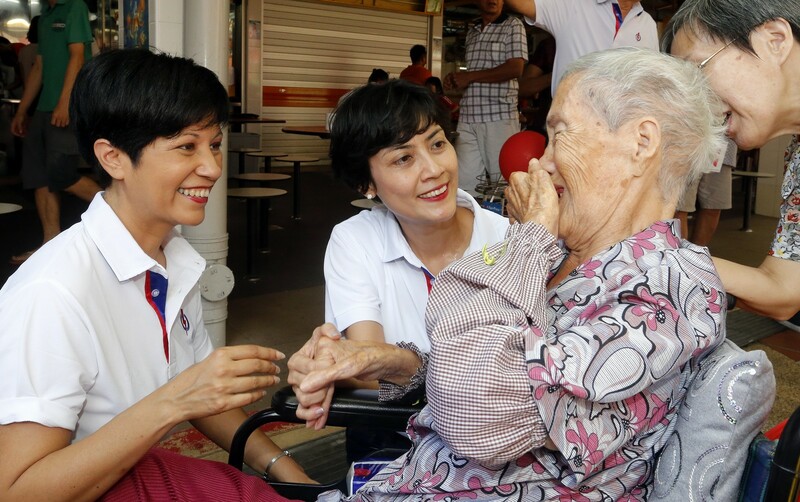 I want to champion elderly issues. 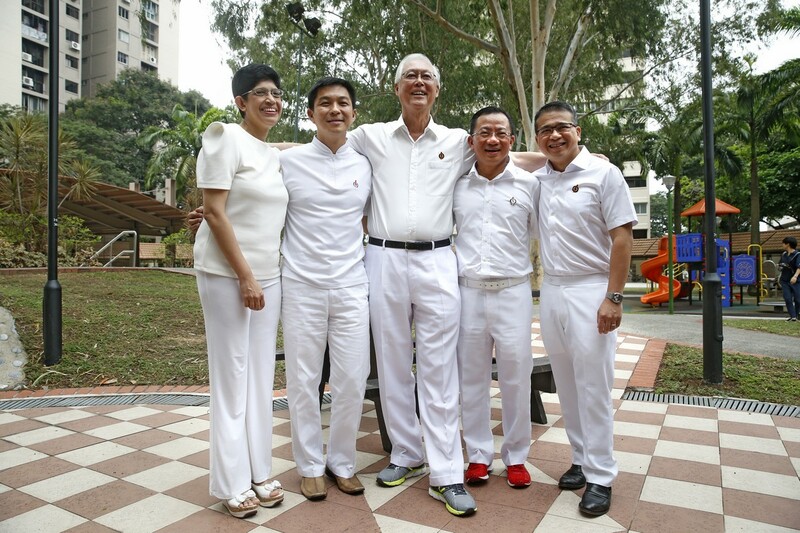 I want to see our elderly be involved in social groups that meet on a regular basis as I have seen how such groups, whether for exercise, qigong, or even just chit-chat, can help to avert depression, even suicides. 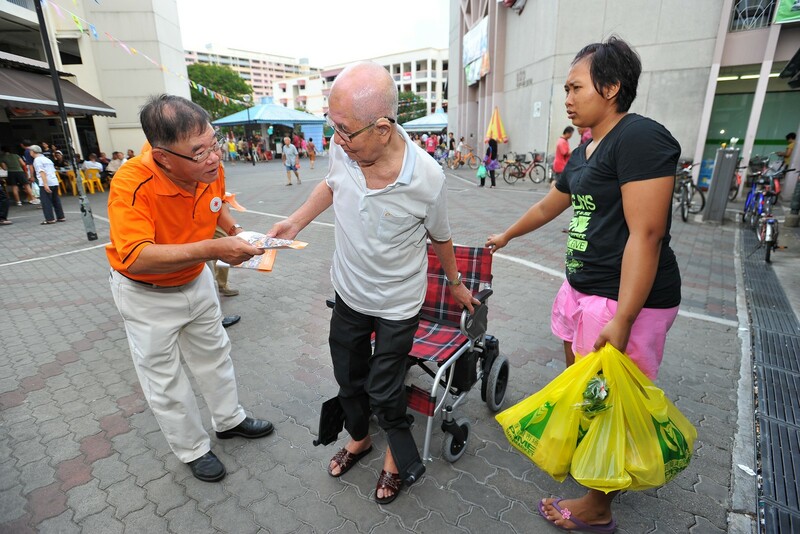 The community cares for one another like that. 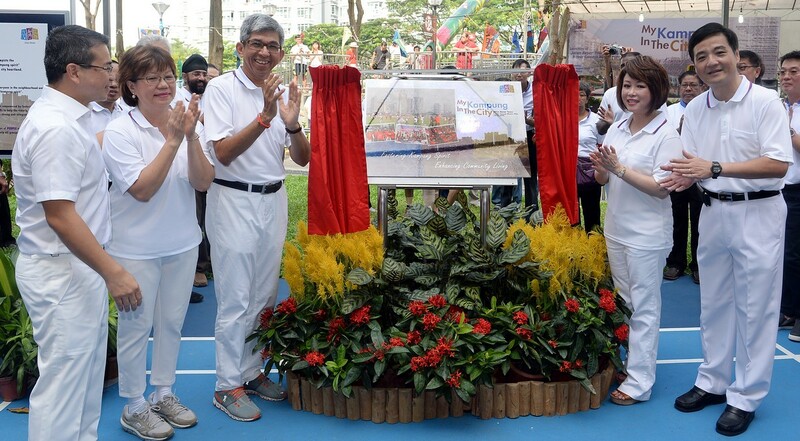 The Ulu Pandan park connector. 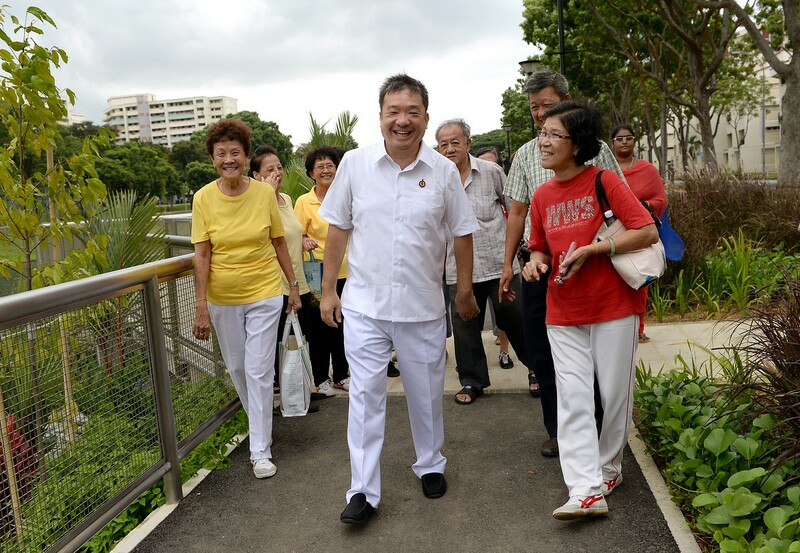 It's where I take my walks and being close to nature and residents doing their walks allows me to think through their needs and the types of programmes to be organised to best serve them. 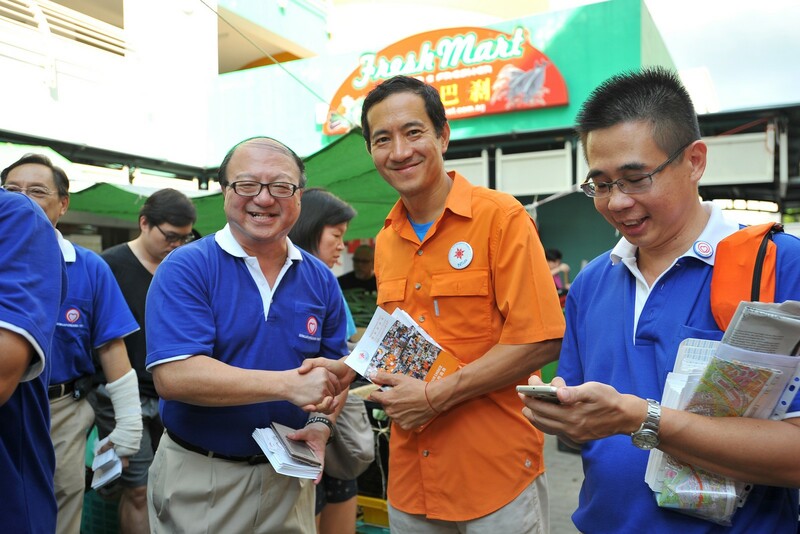 I have served 20 years in the police and more than 13 years as a grassroots volunteer. 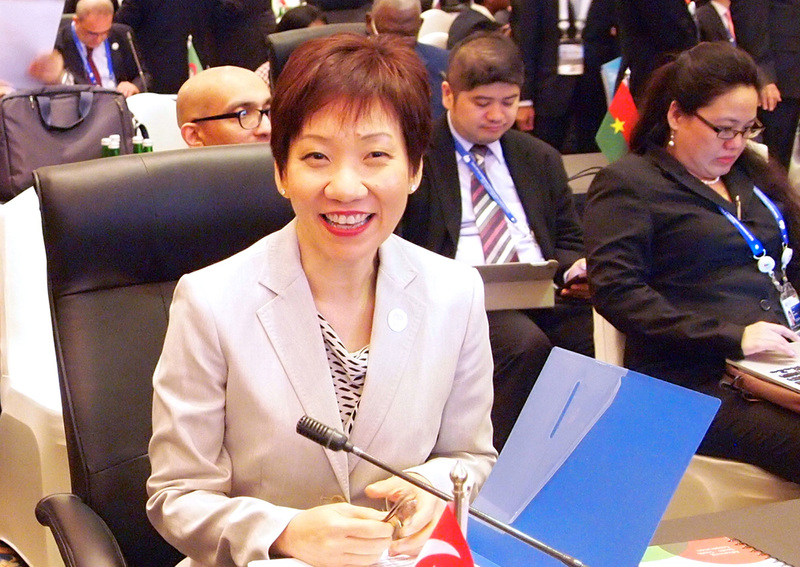 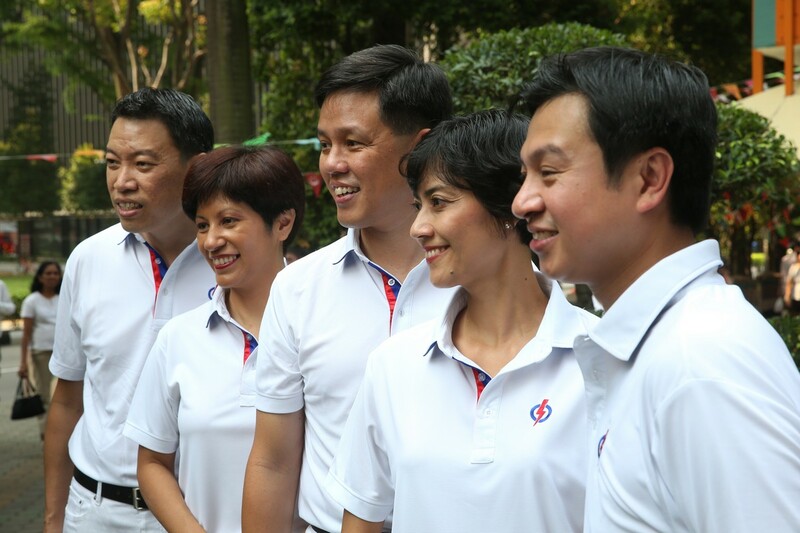 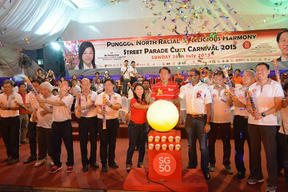 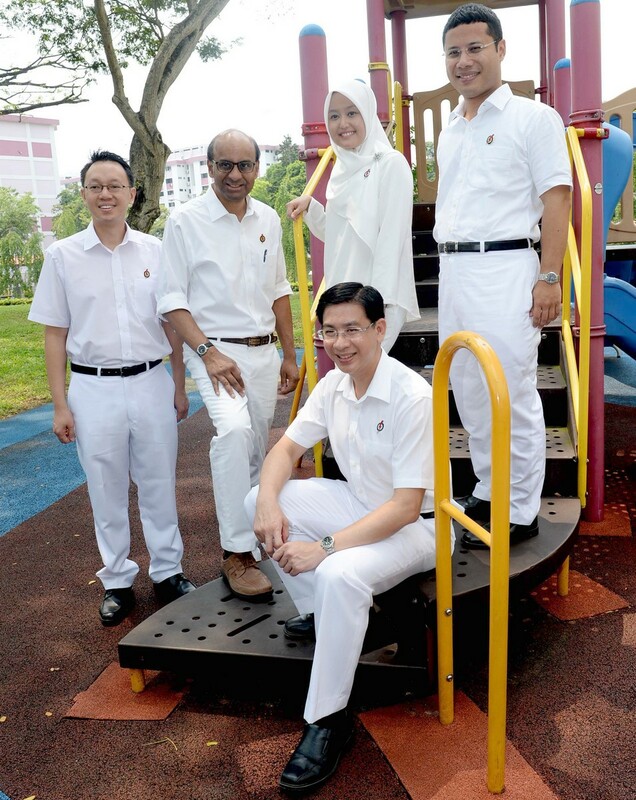 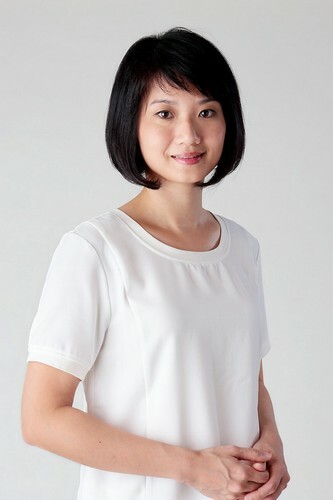 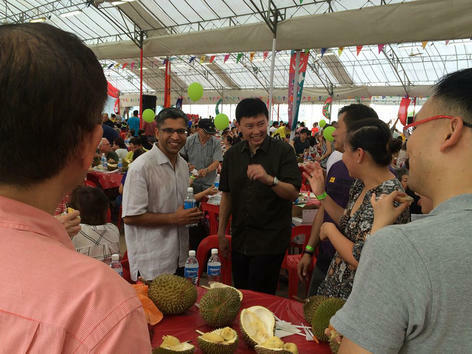 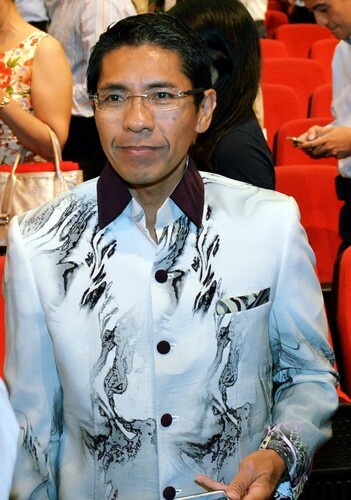 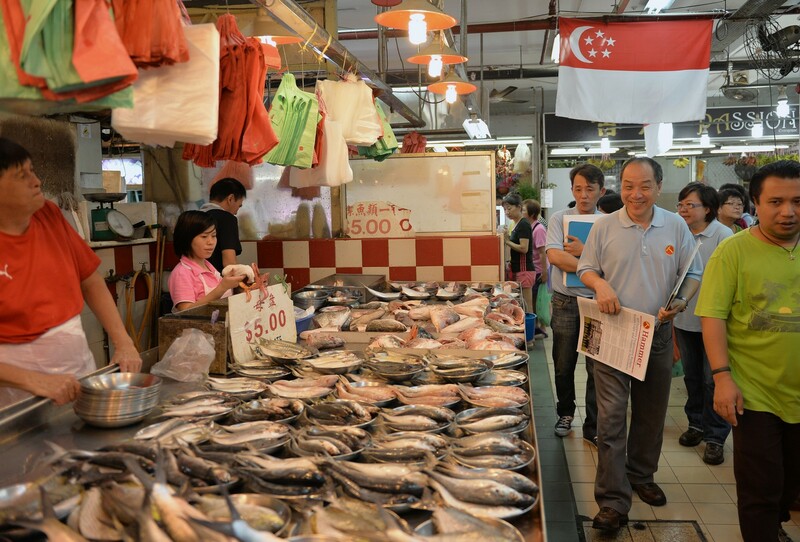 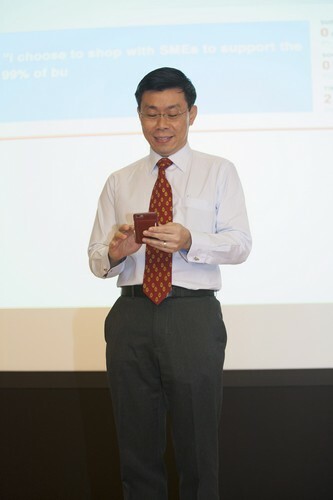 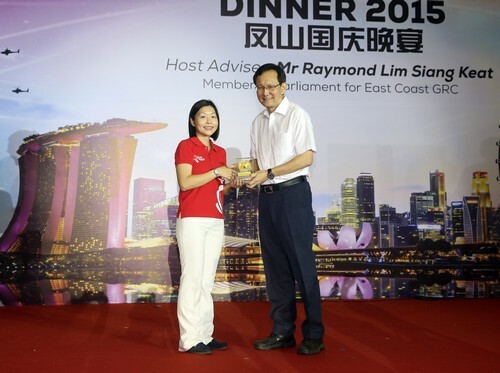 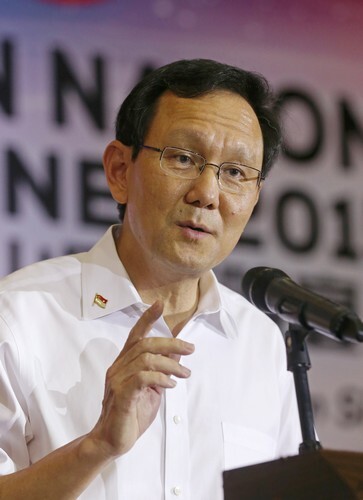 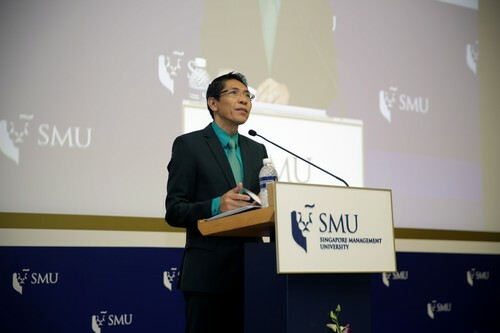 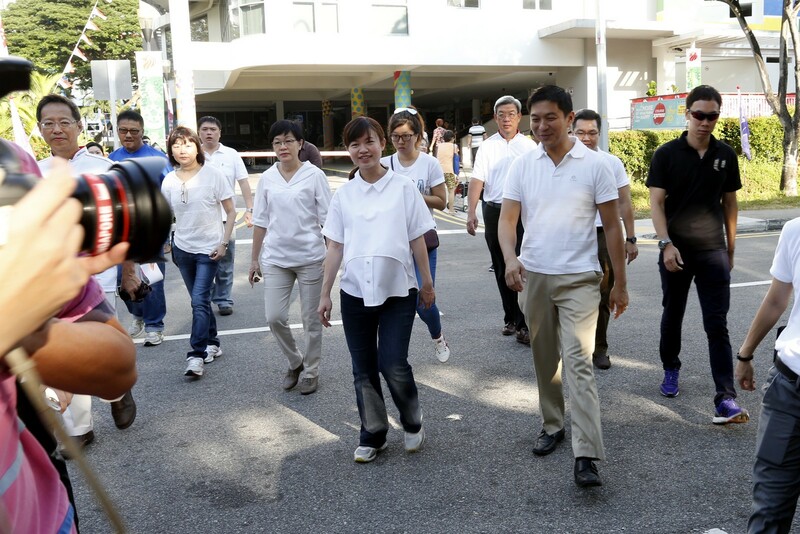 I worked closely with ministers and PAP MPs and saw how they put in time and effort to make Singapore a better place... 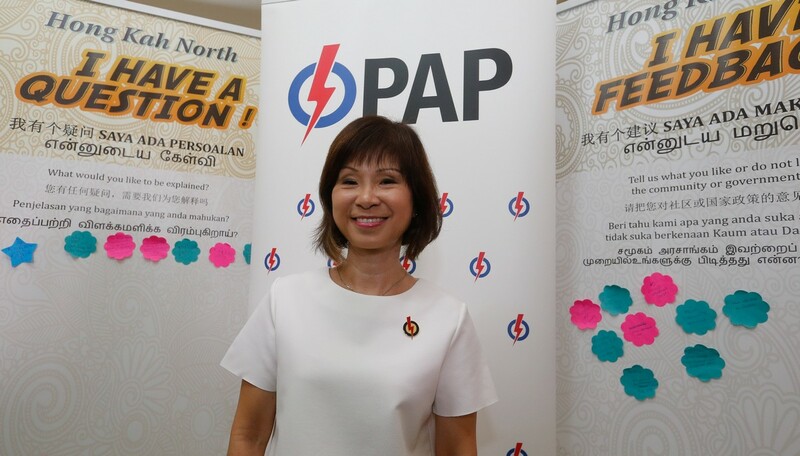 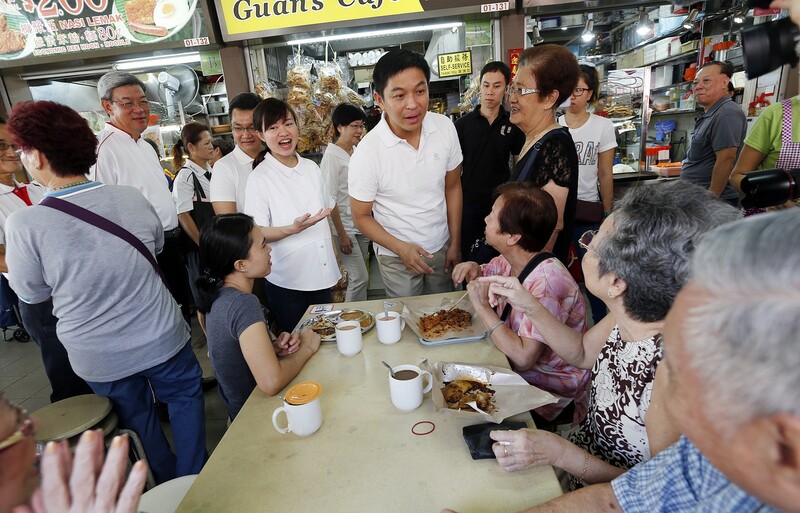 Since I am a beneficiary of the PAP system, I thought I should give politics my best shot. 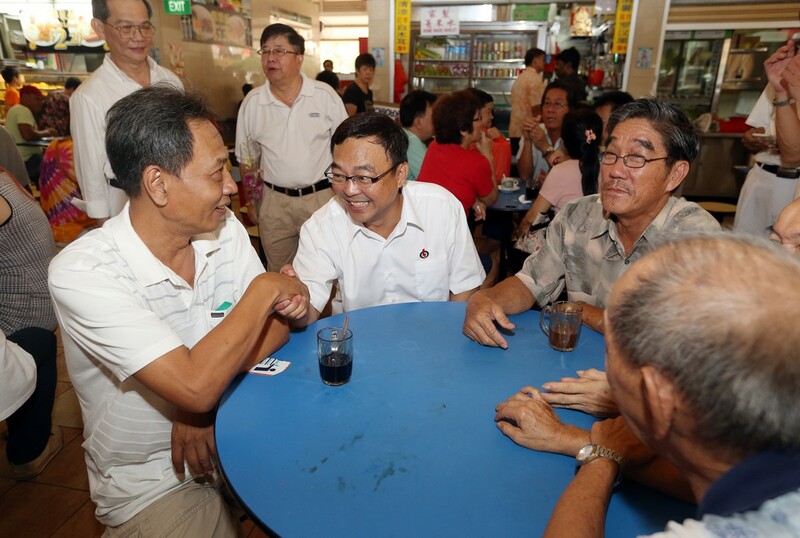 Through my years in the grassroots and police, I have a network of contacts willing to help build community spirit in Tanjong Pagar. 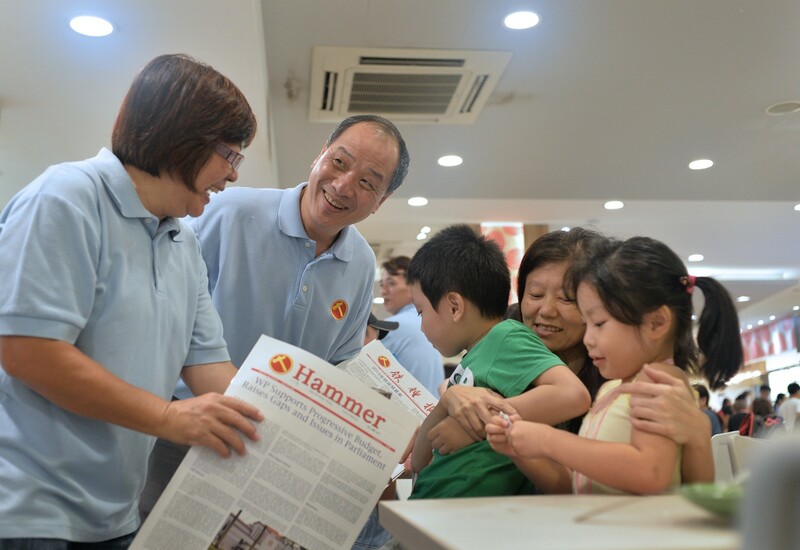 I would like to create more opportunities for people to get to know one another... 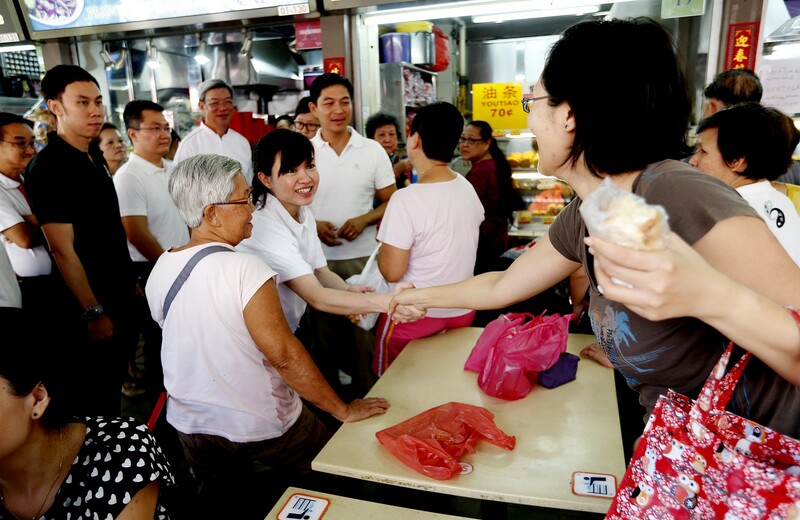 When people are familiar with each other, issues are easier to resolve. 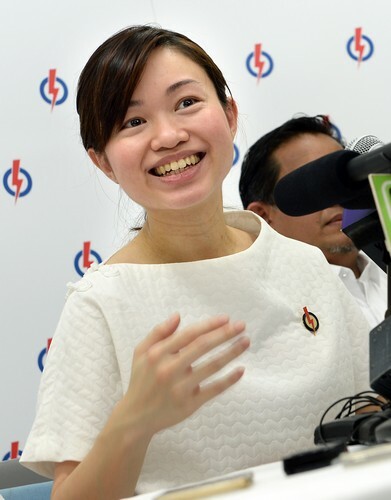 I also want to champion youth development. 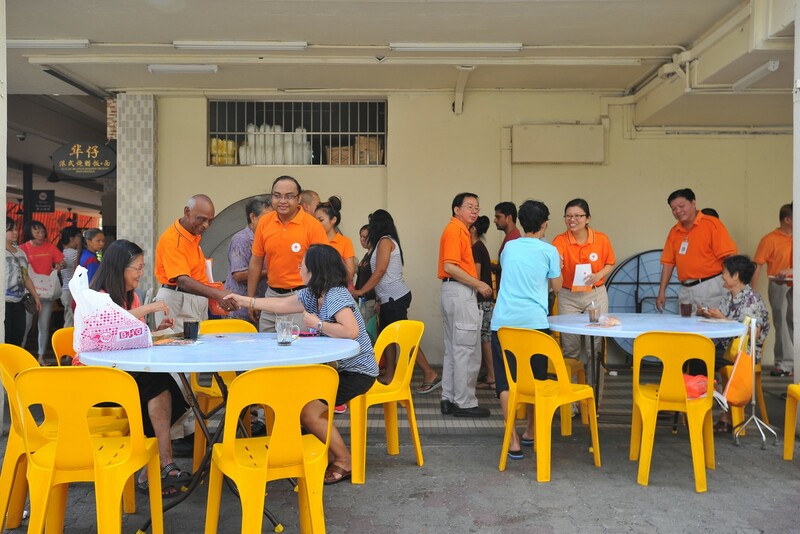 I was the beneficiary of many helping hands... 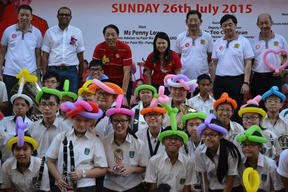 I want to assist young people in achieving their dreams. 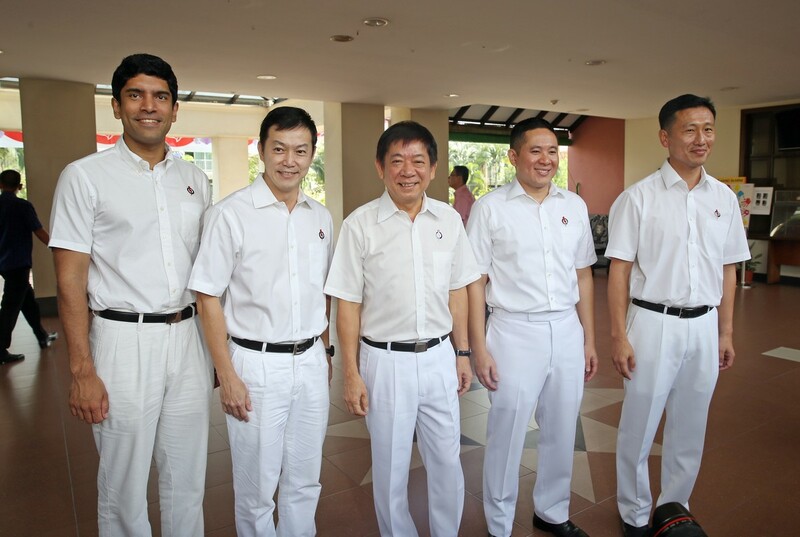 Punggol Waterway. 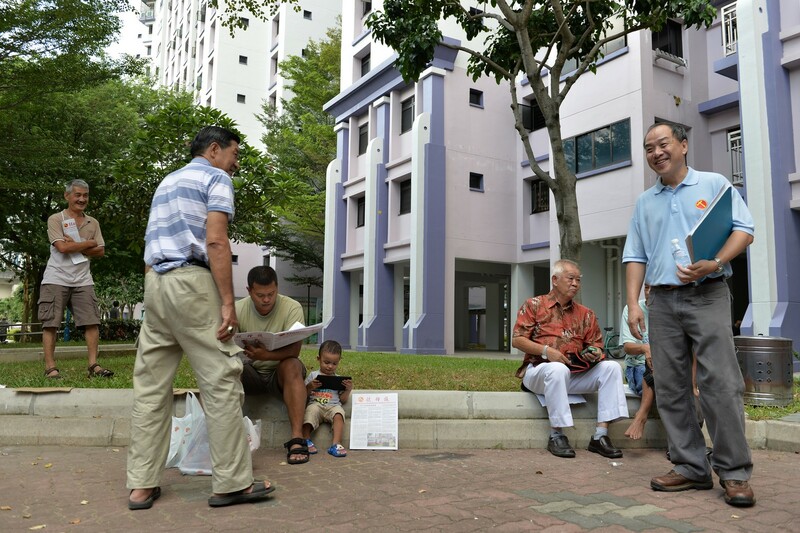 As one of the first residents of Punggol, I've seen it transformed from an empty plot of land to what it is today. 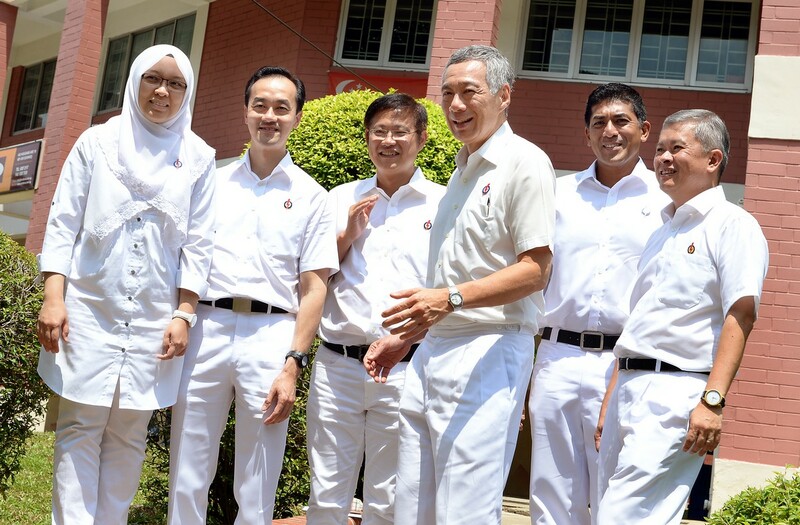 My family and I enjoy the scenery there.